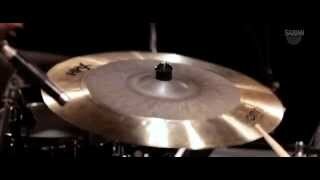 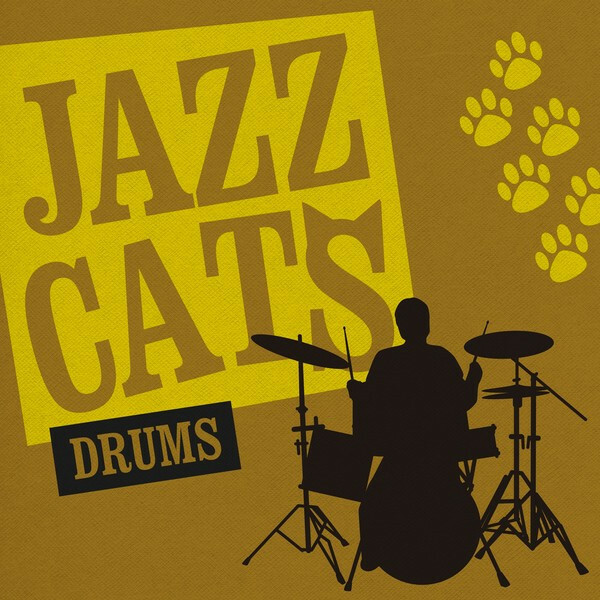 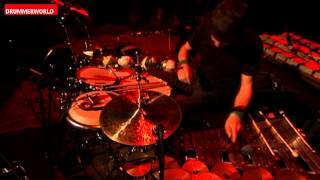 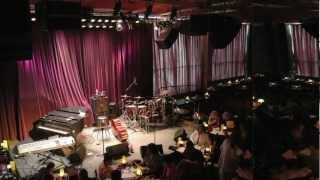 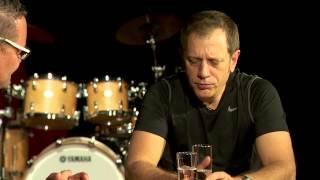 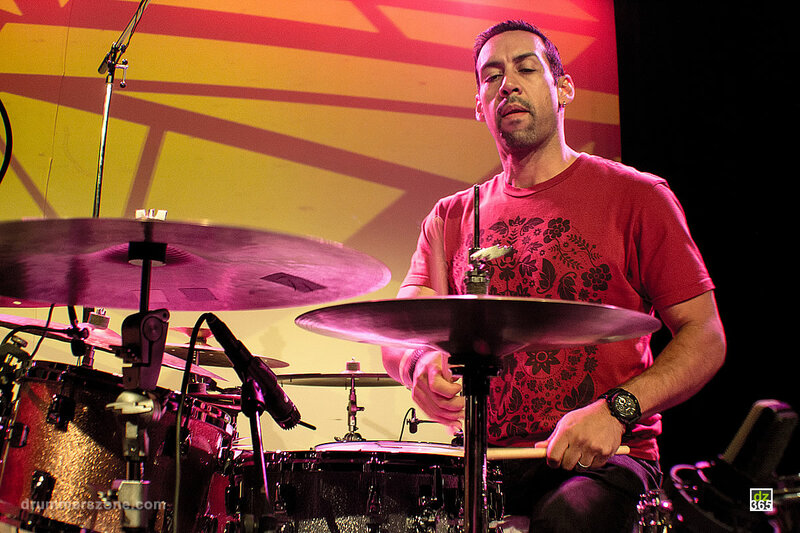 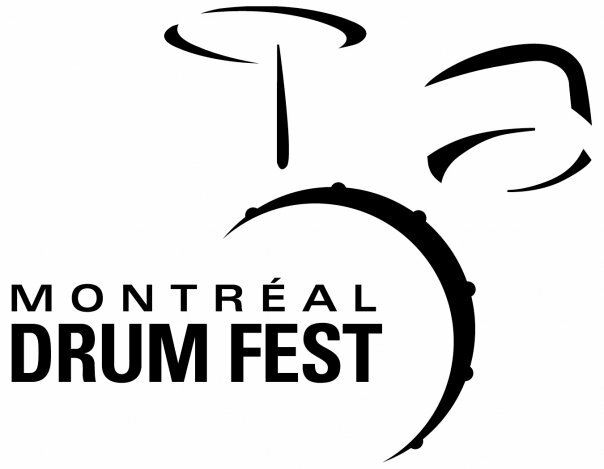 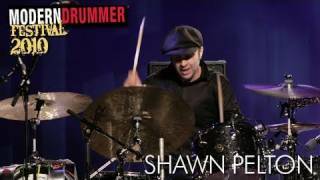 The North Sea Jazz Beat Summit with Mark Guiliana, Nate Smith & Dave Weckl. 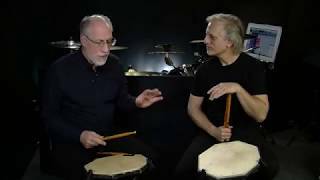 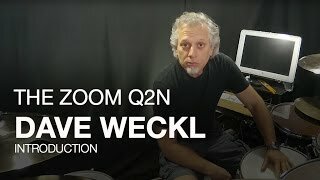 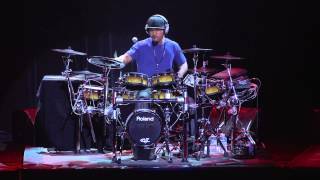 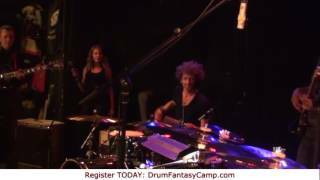 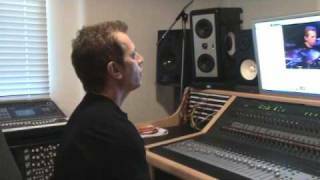 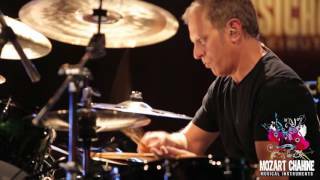 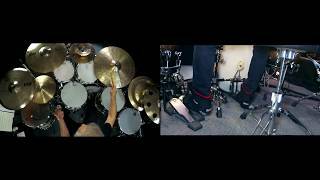 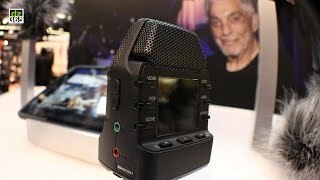 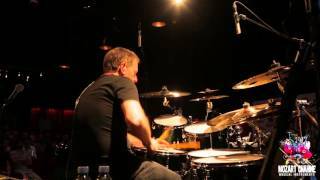 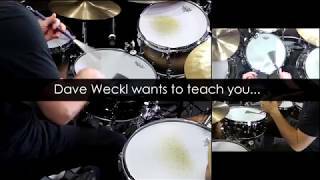 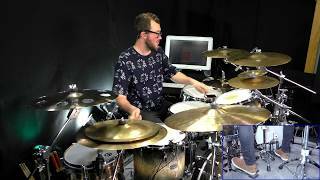 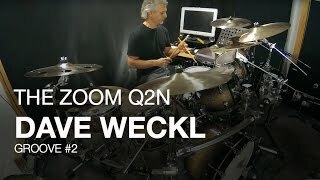 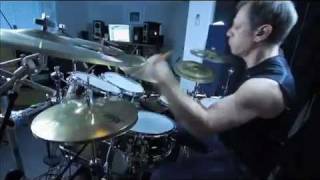 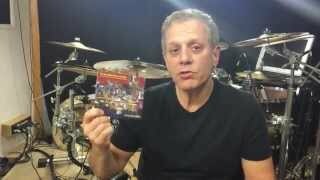 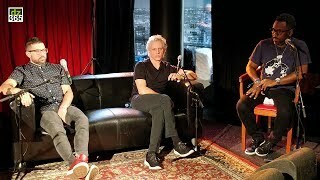 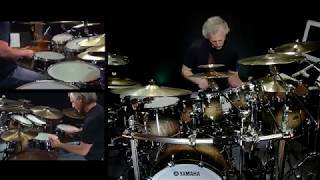 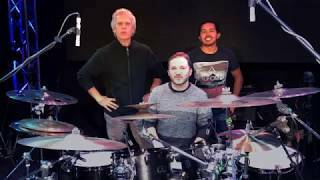 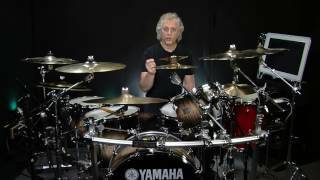 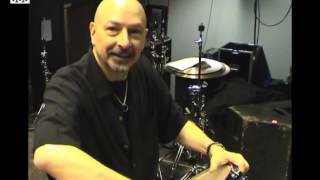 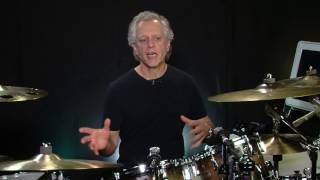 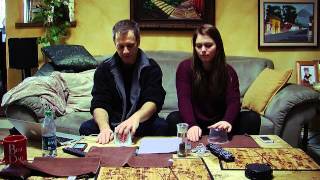 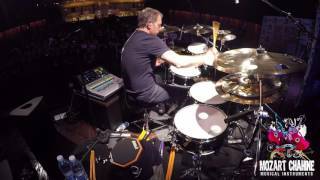 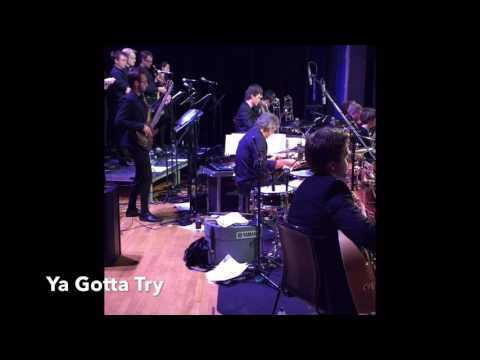 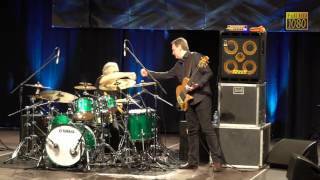 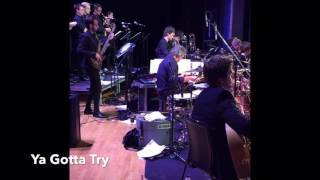 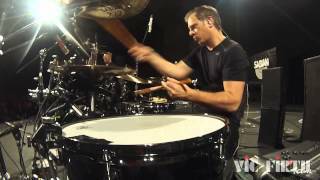 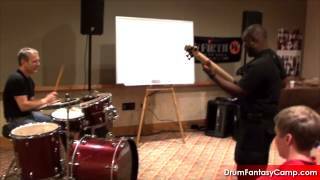 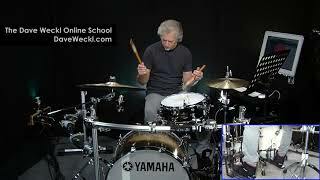 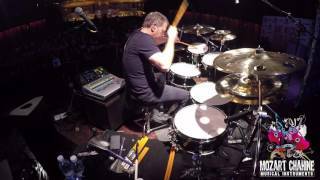 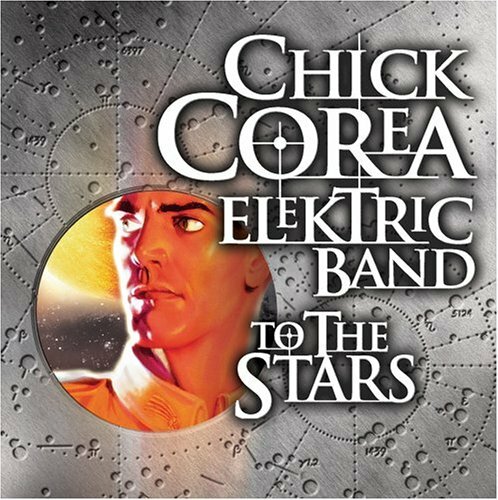 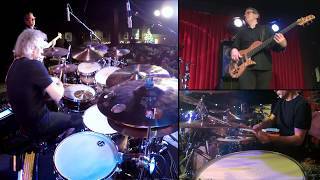 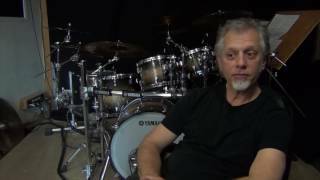 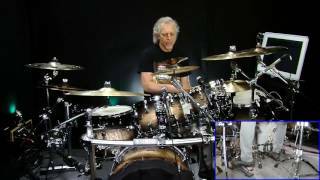 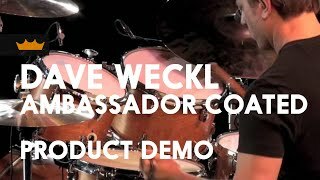 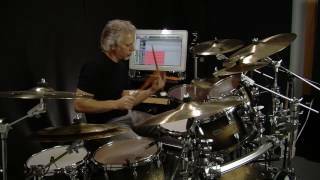 Dave Weckl with the Chick Corea Elektric Band 2017 - Got a Match? 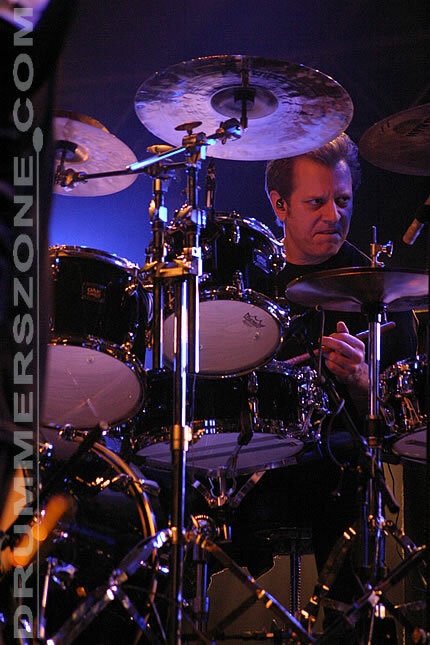 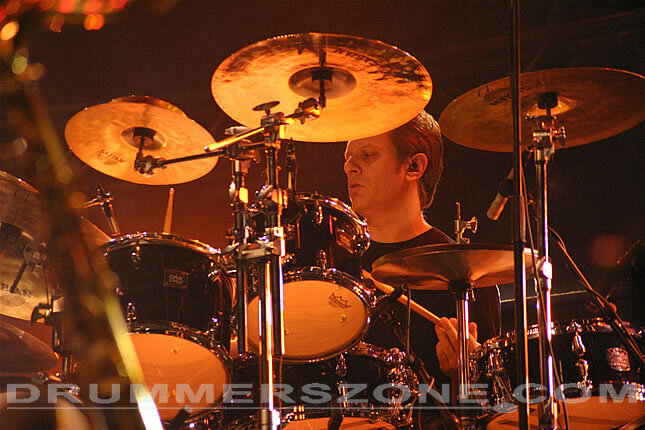 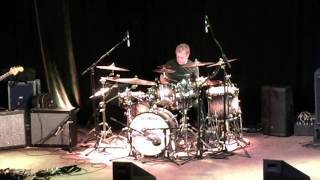 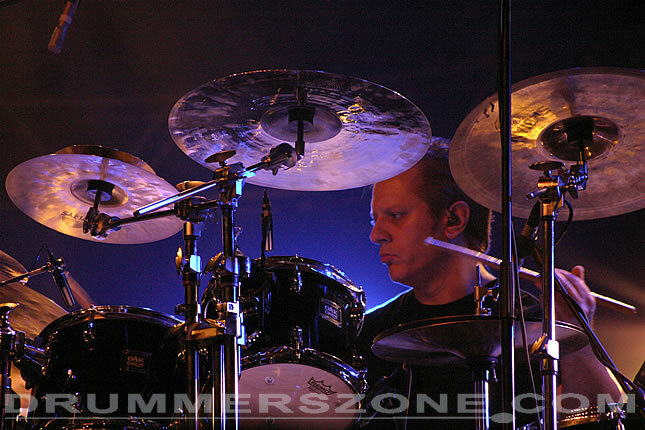 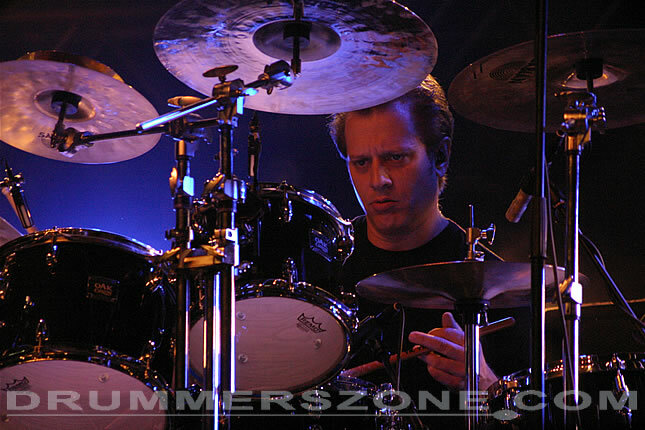 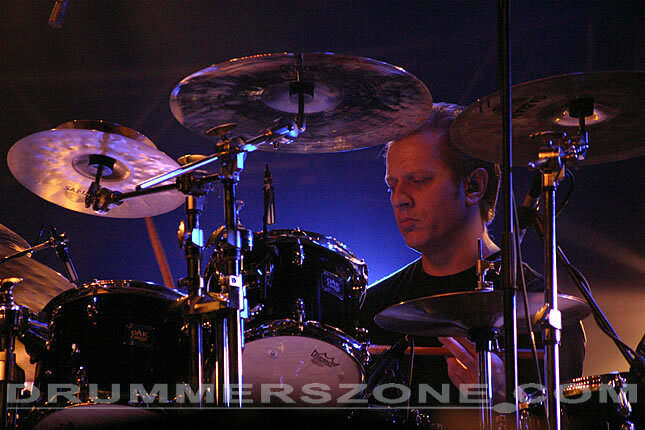 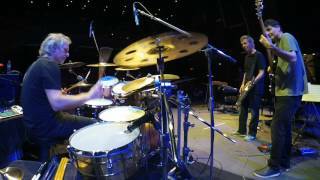 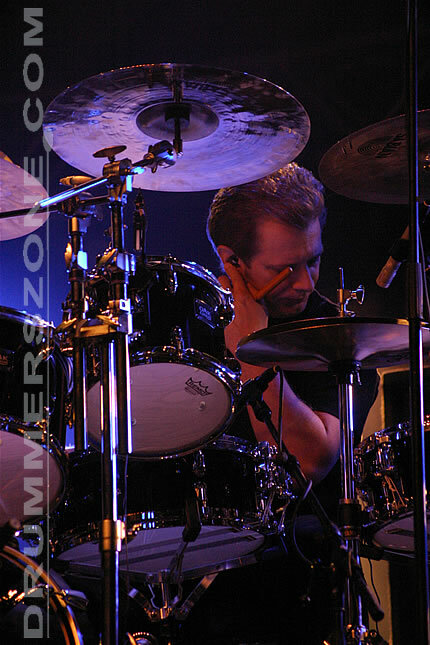 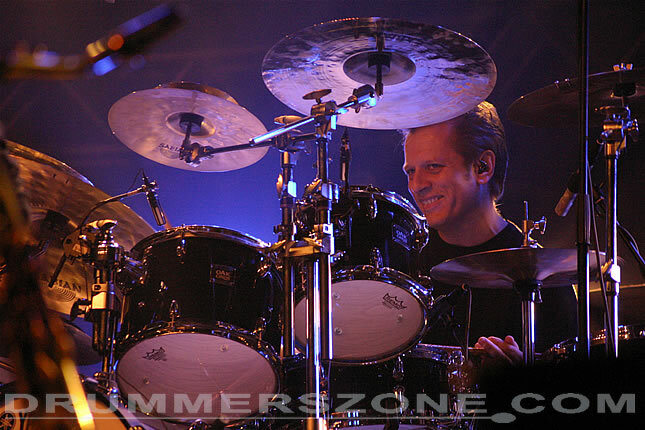 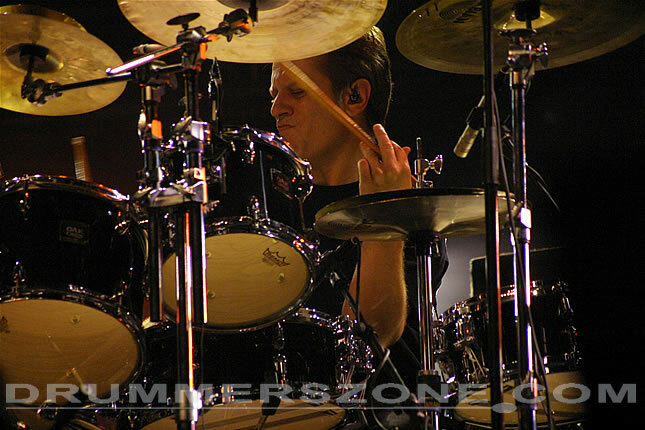 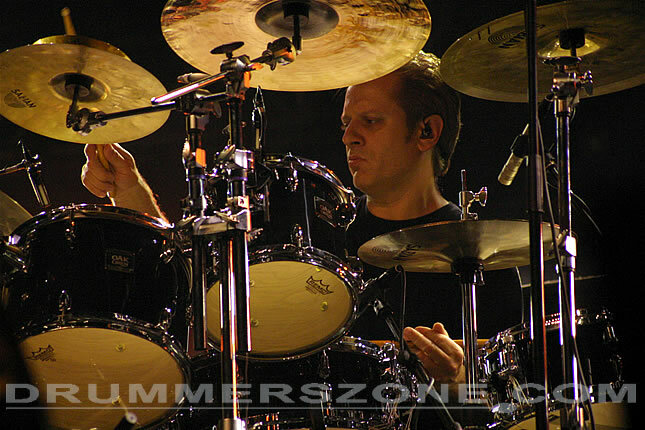 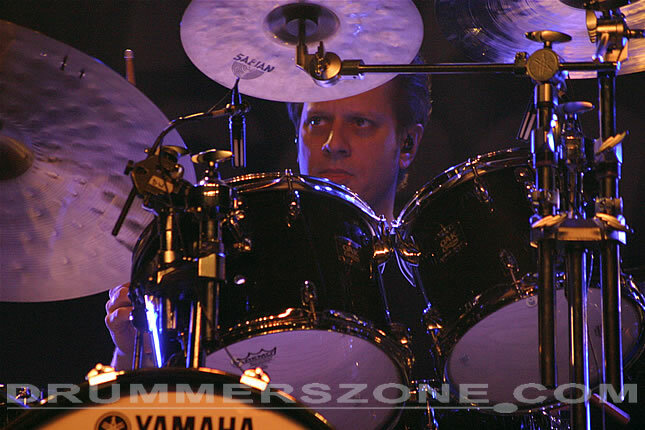 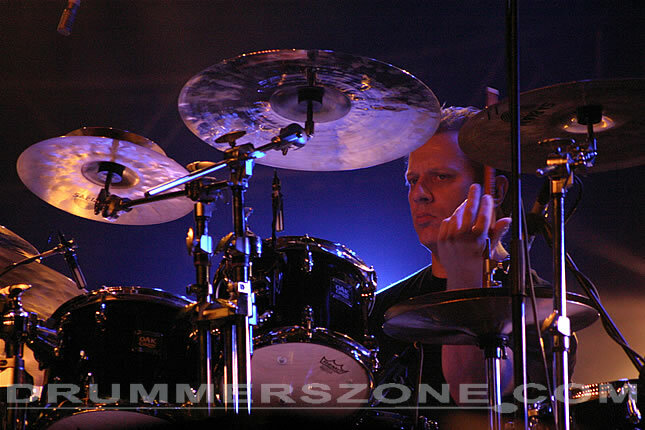 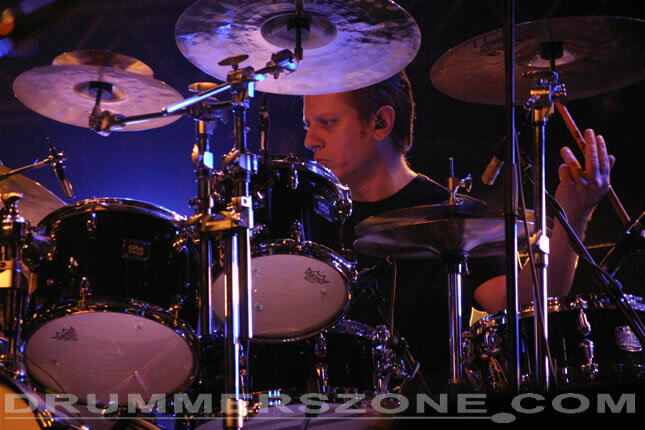 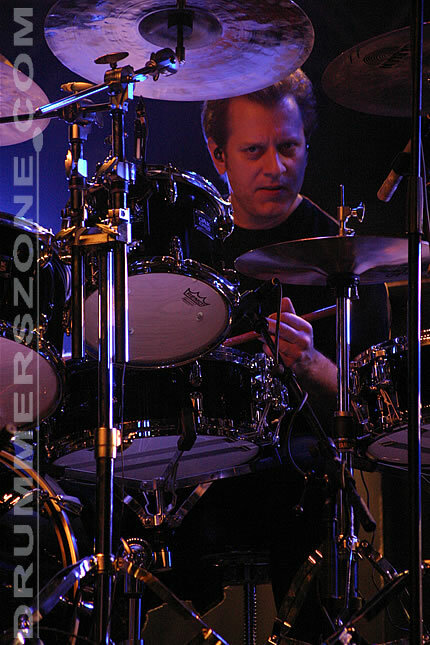 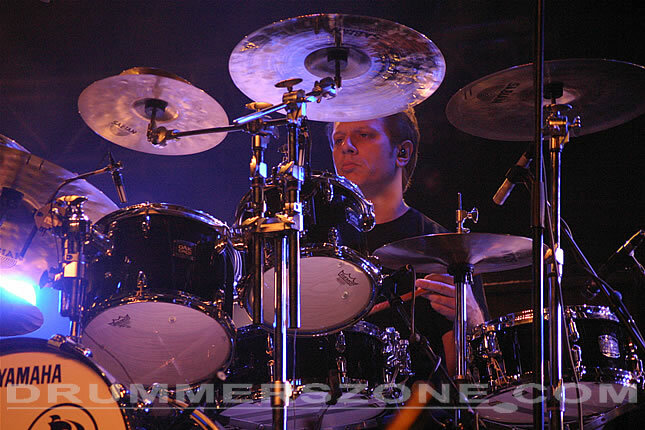 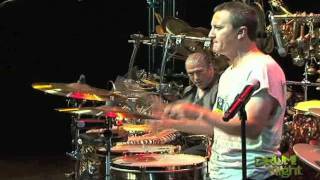 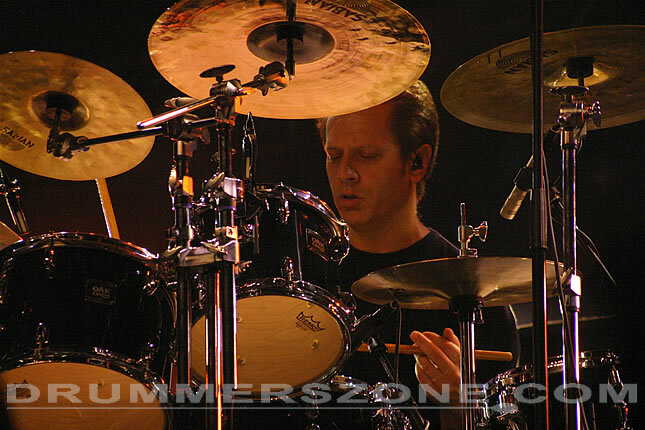 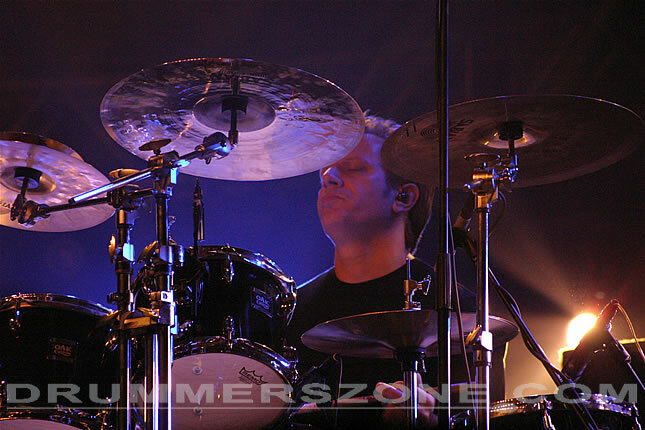 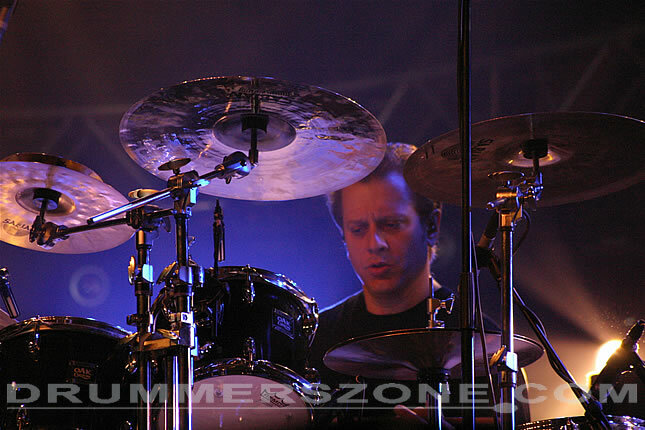 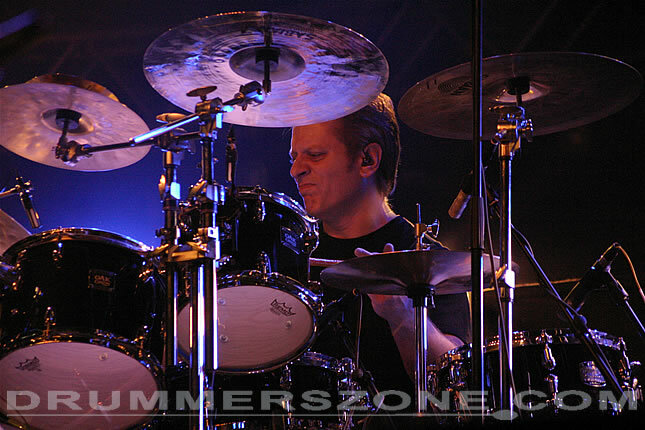 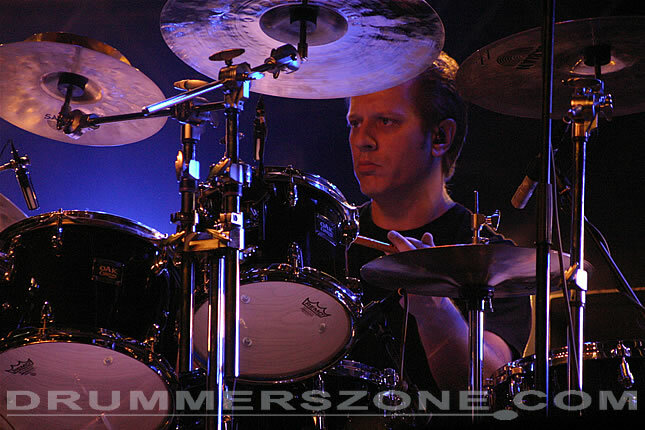 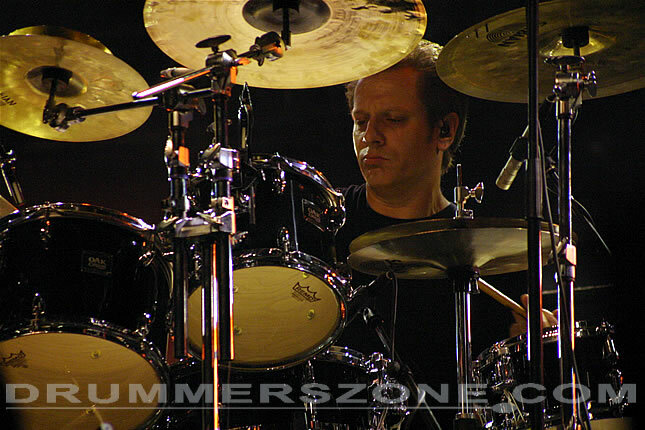 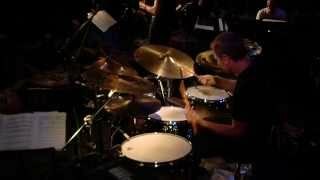 Dave Weckl performing with 'Metro Special Edition' at the 2008 edition of the North Sea Jazz Festival. 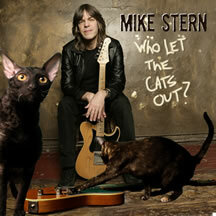 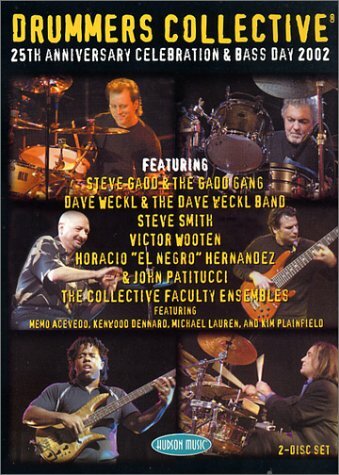 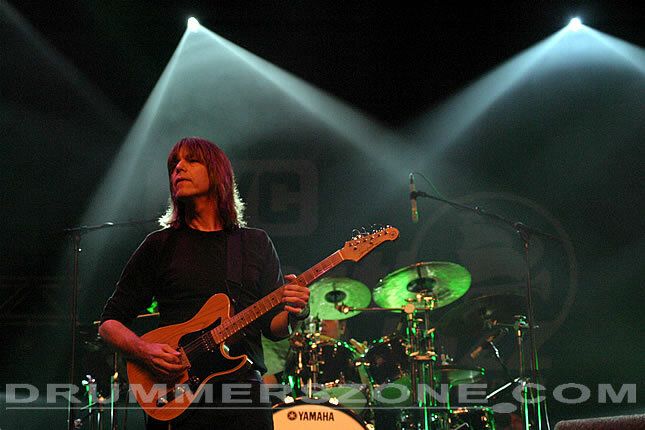 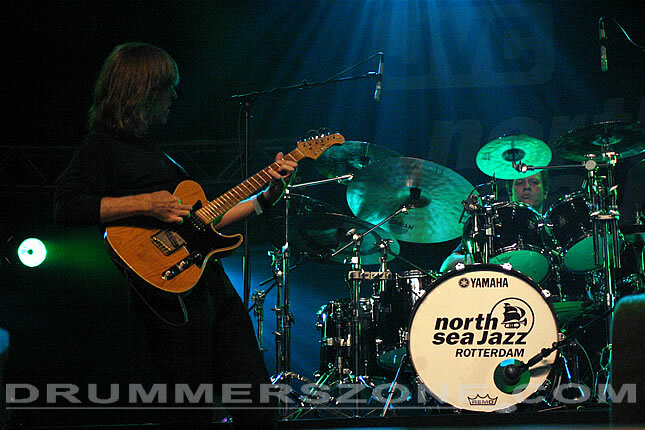 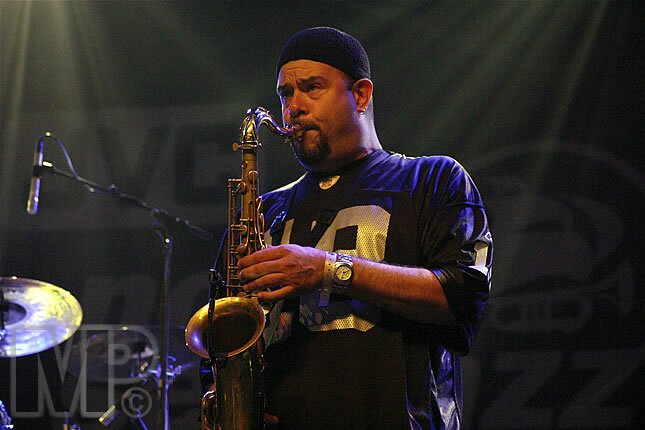 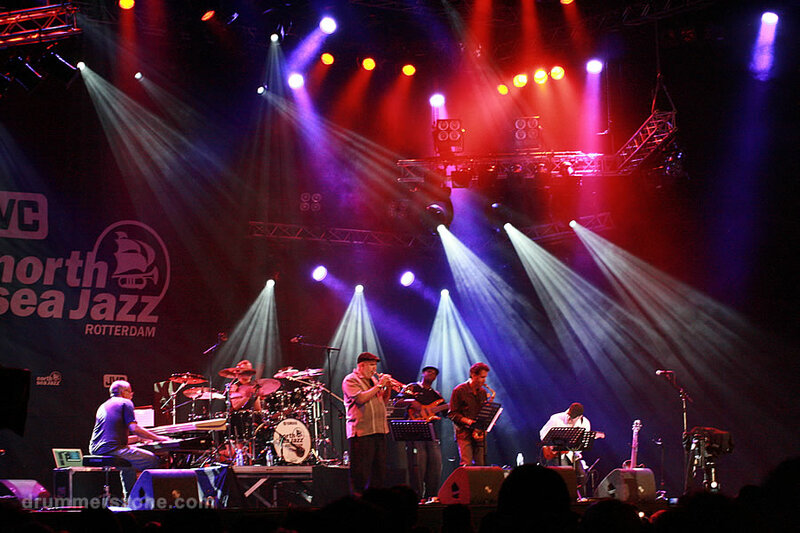 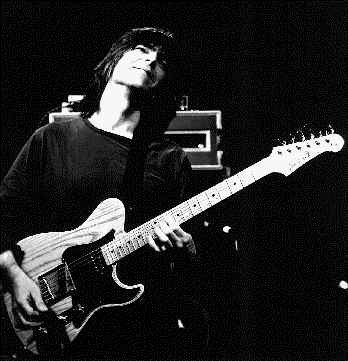 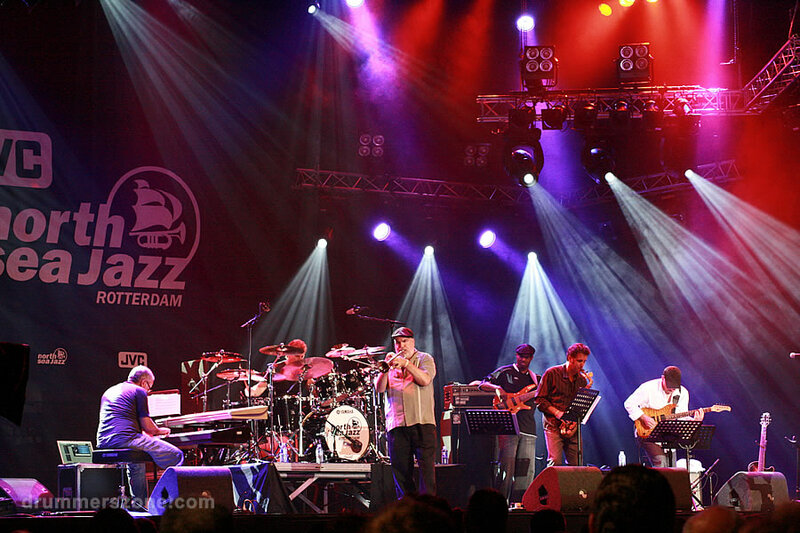 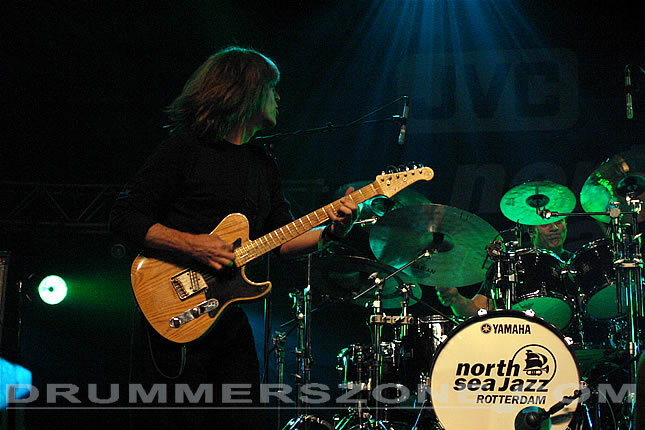 Performing with Mike Stern Band on Sunday July 15, 2007 on the North Sea Jazz Festival in Rotterdam, The Netherlands. 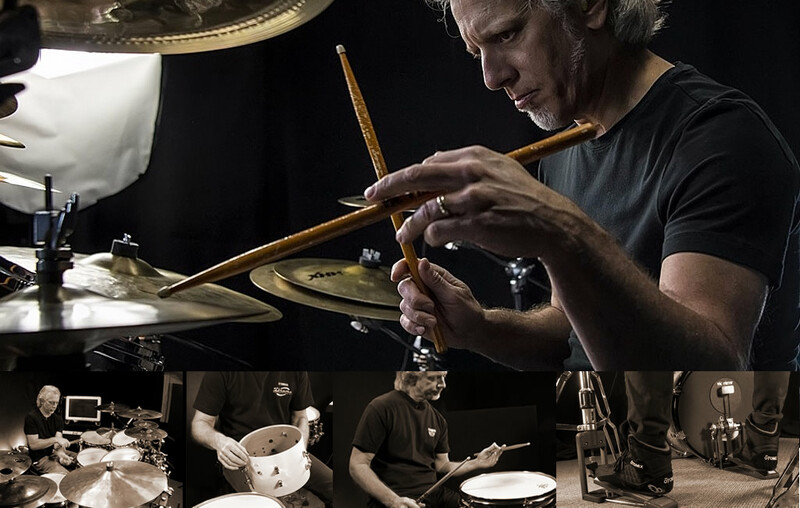 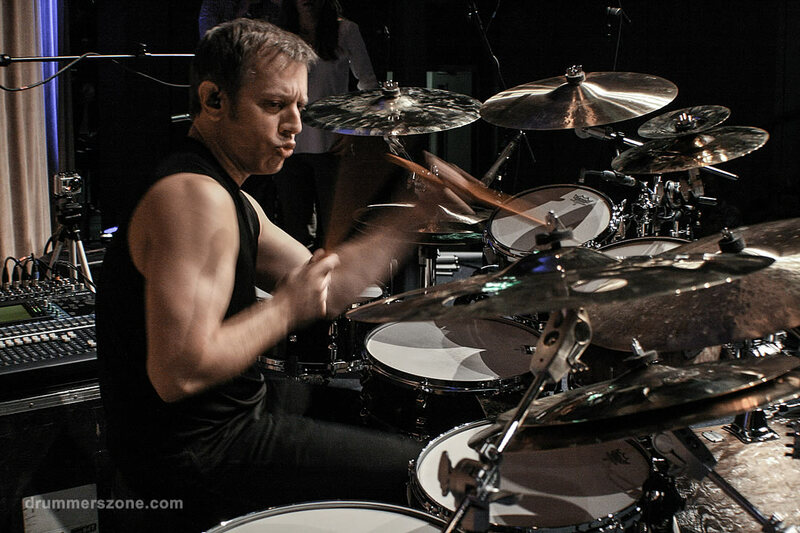 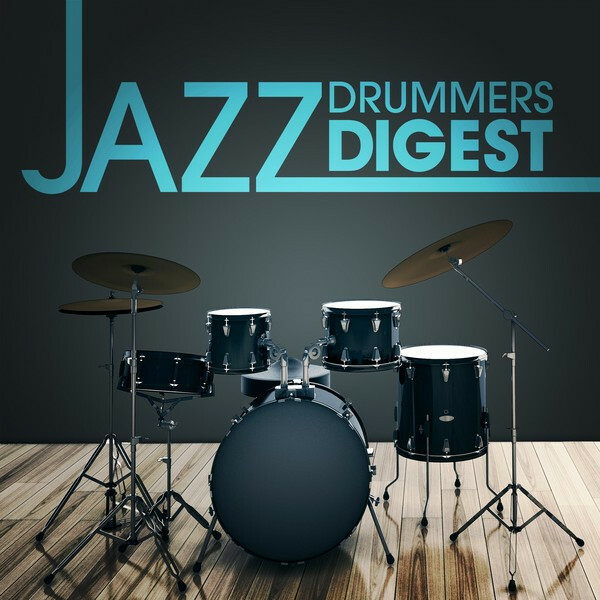 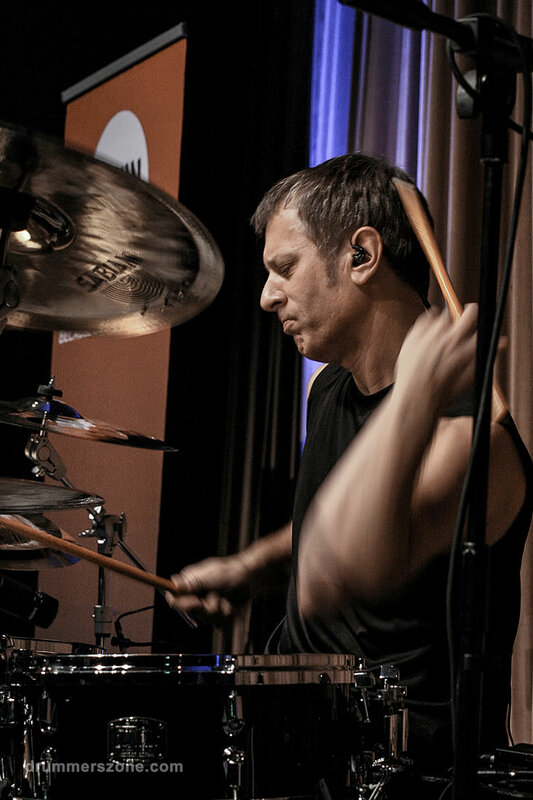 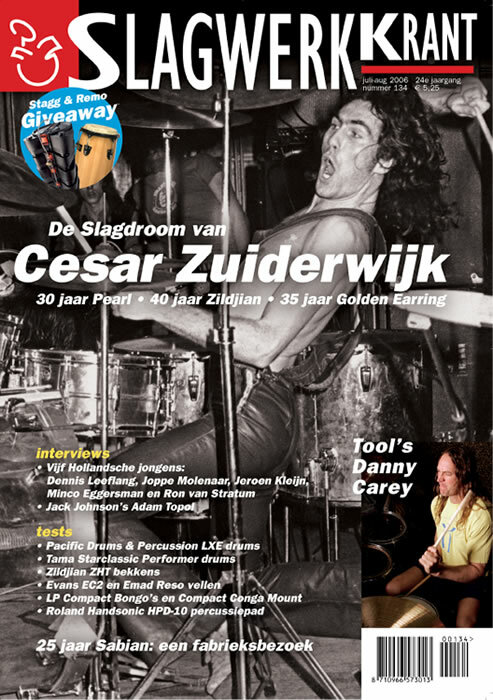 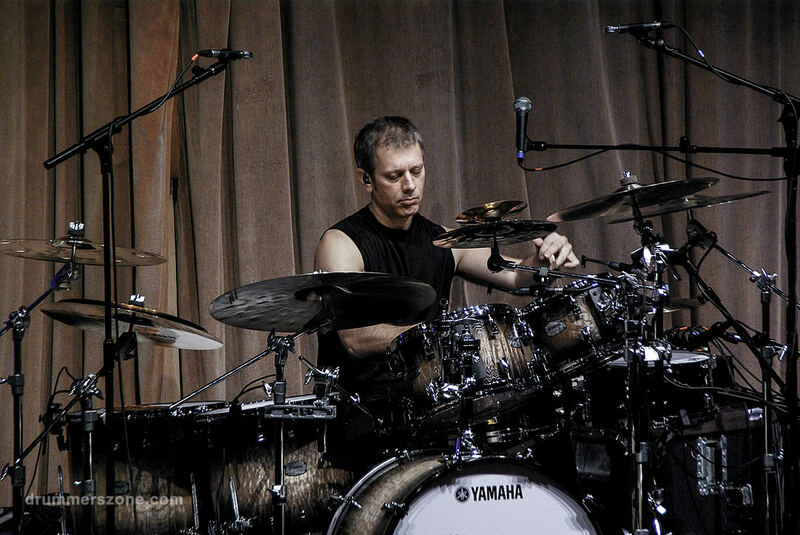 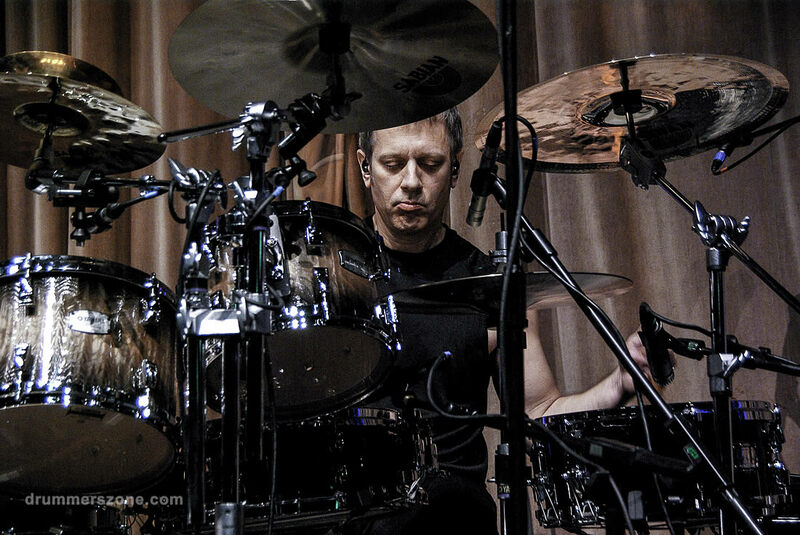 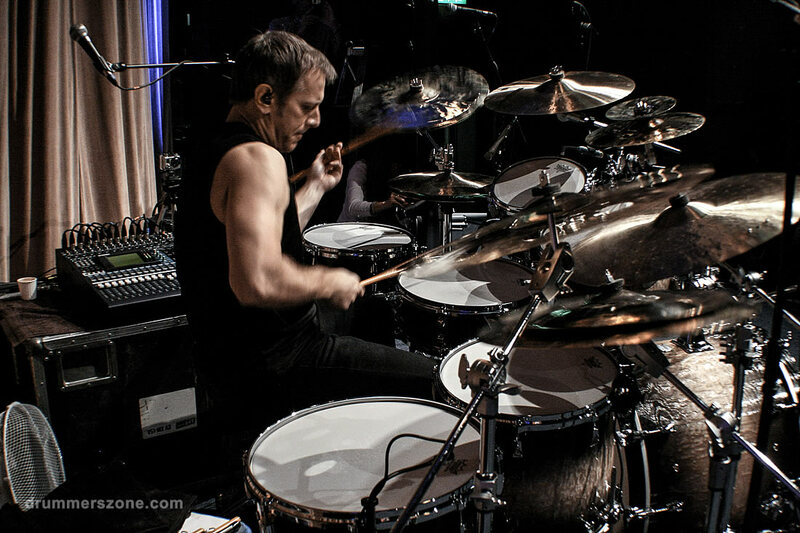 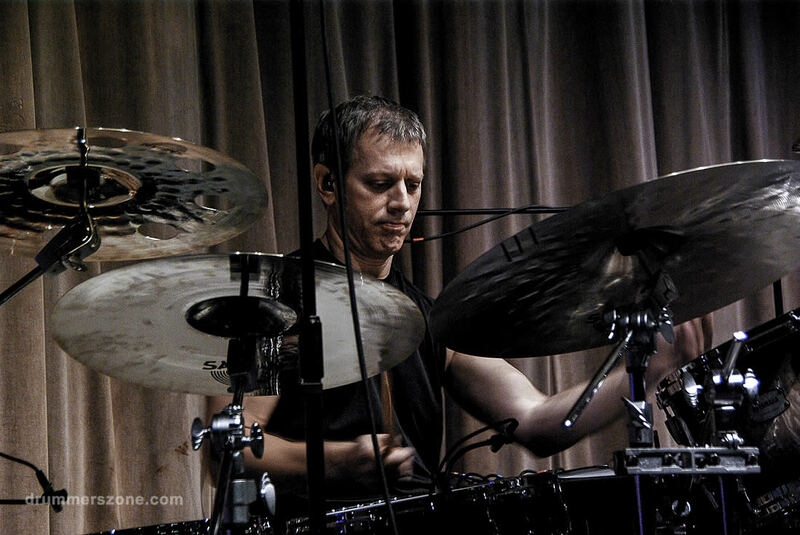 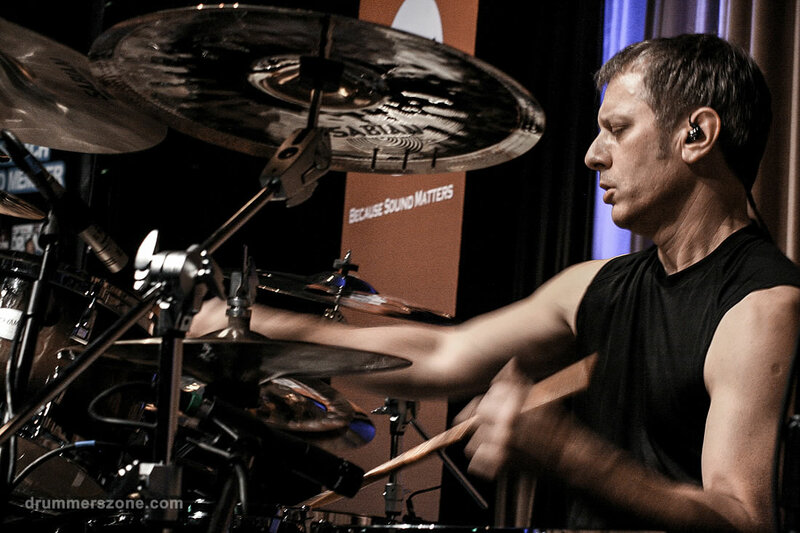 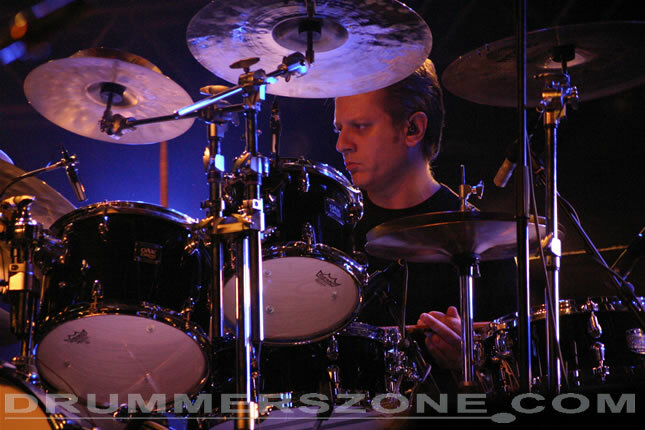 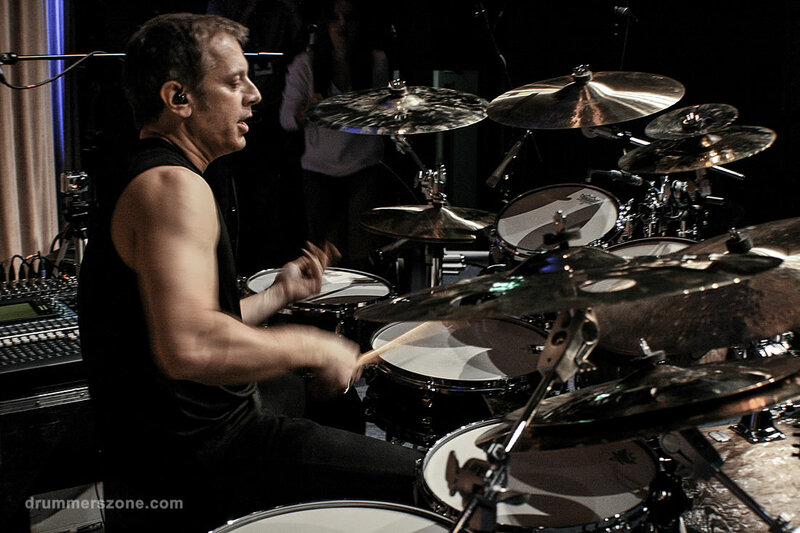 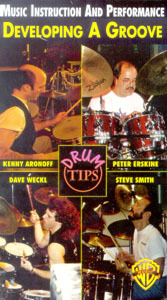 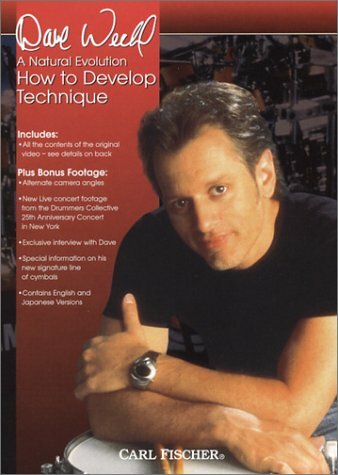 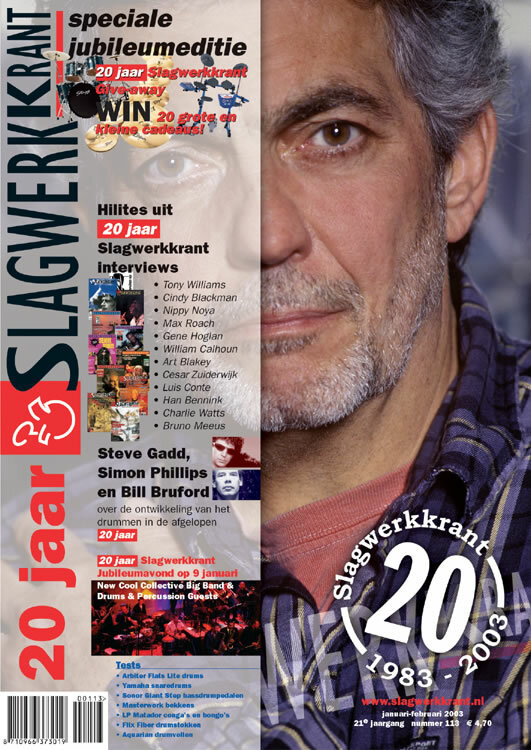 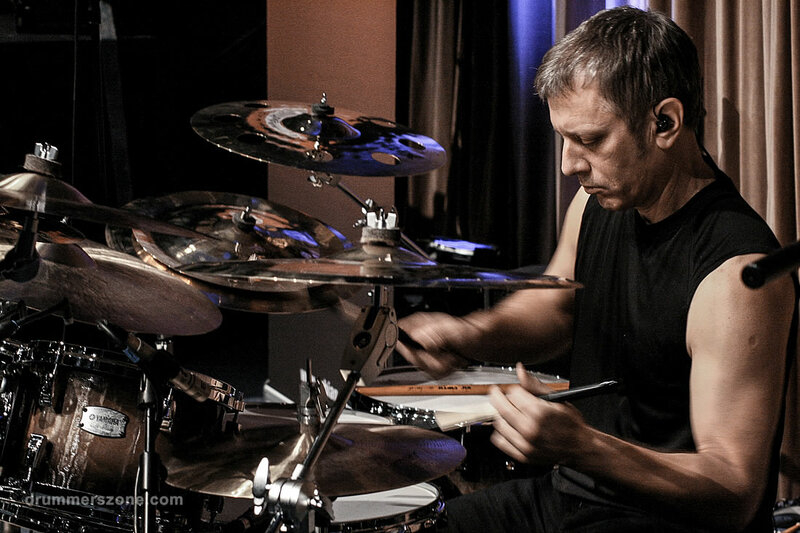 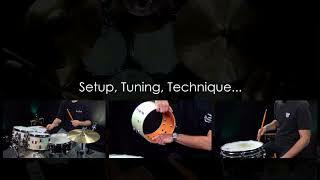 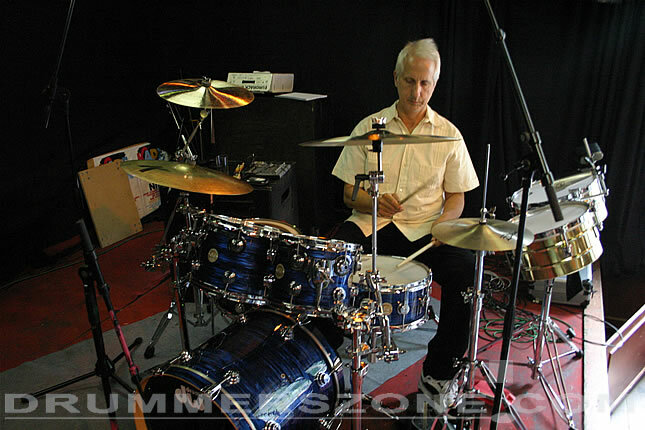 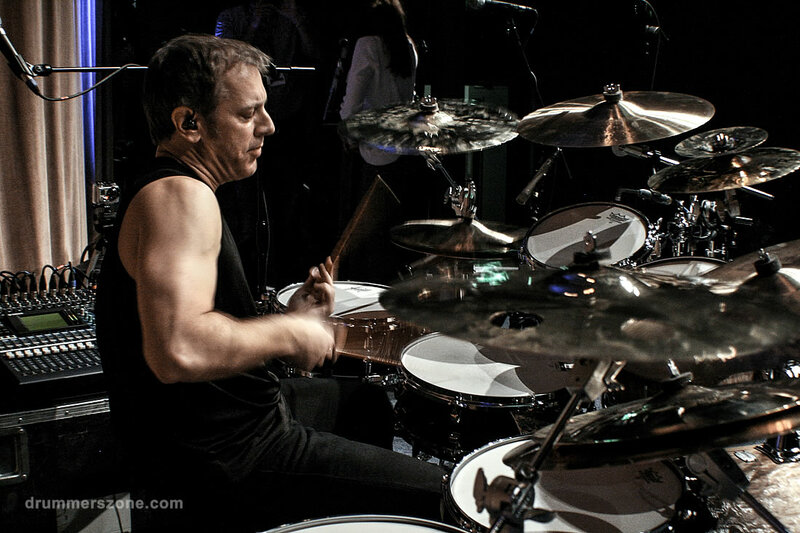 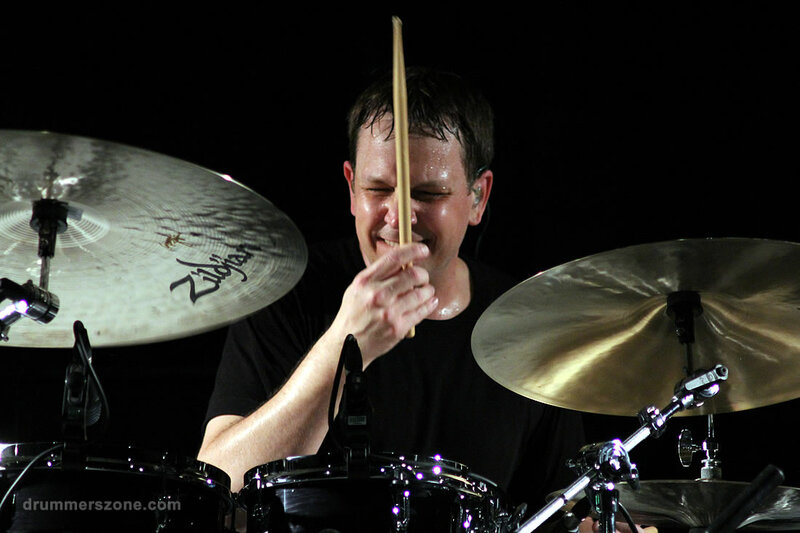 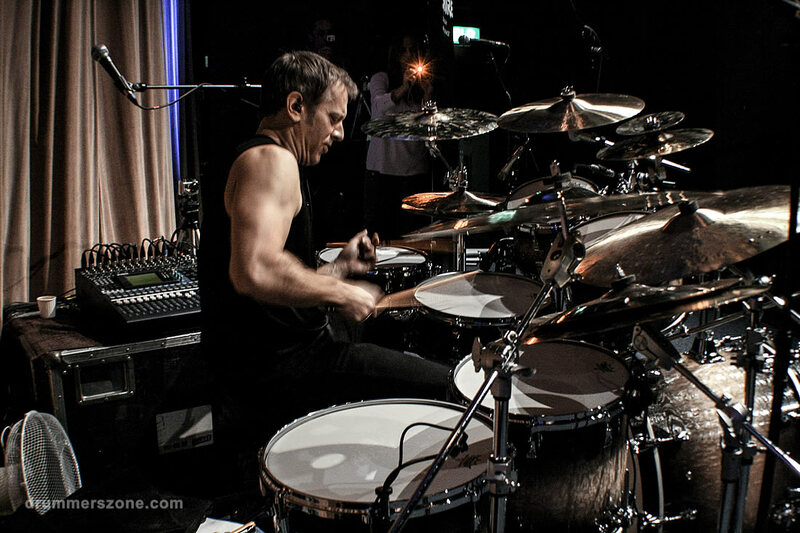 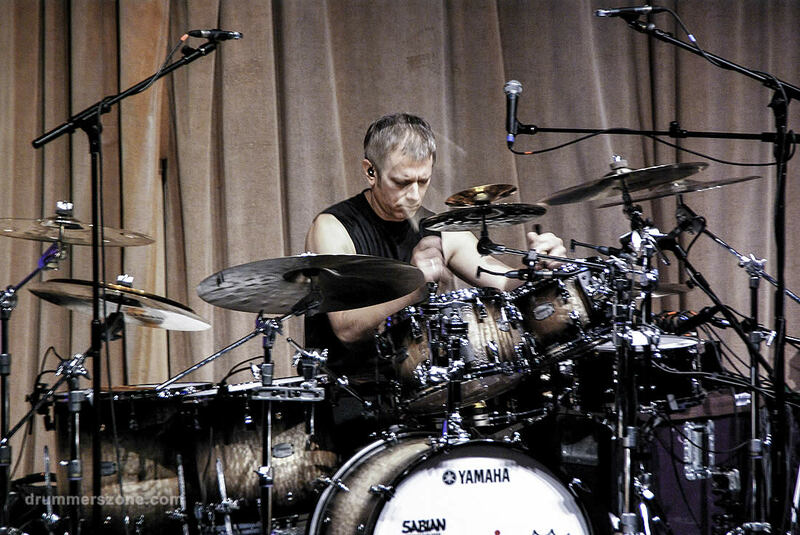 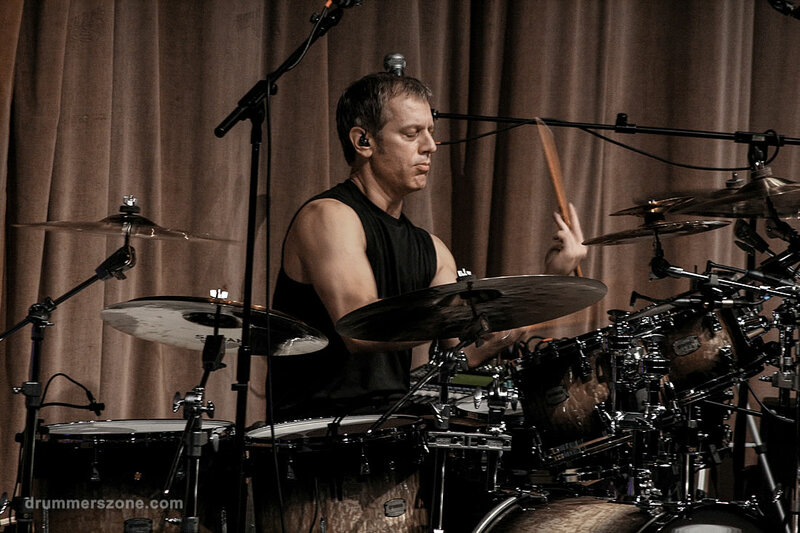 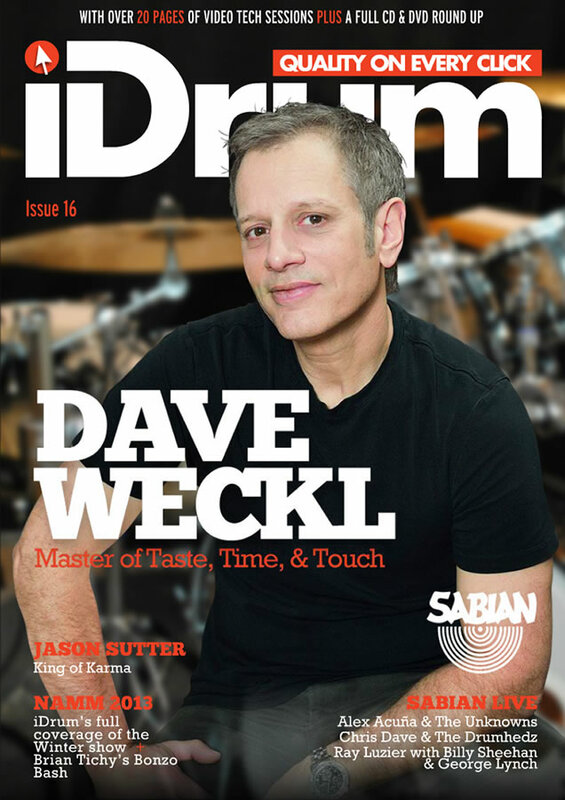 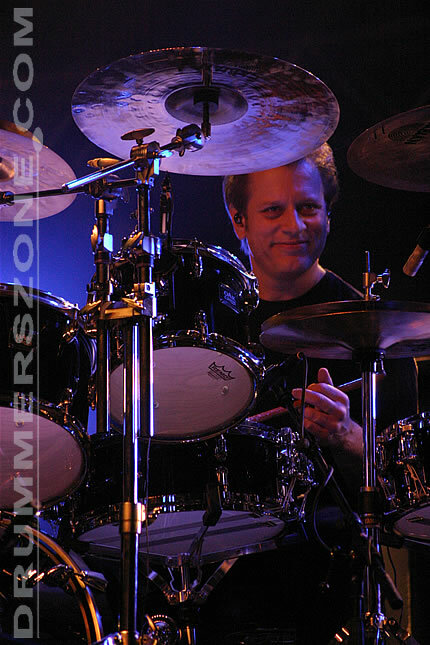 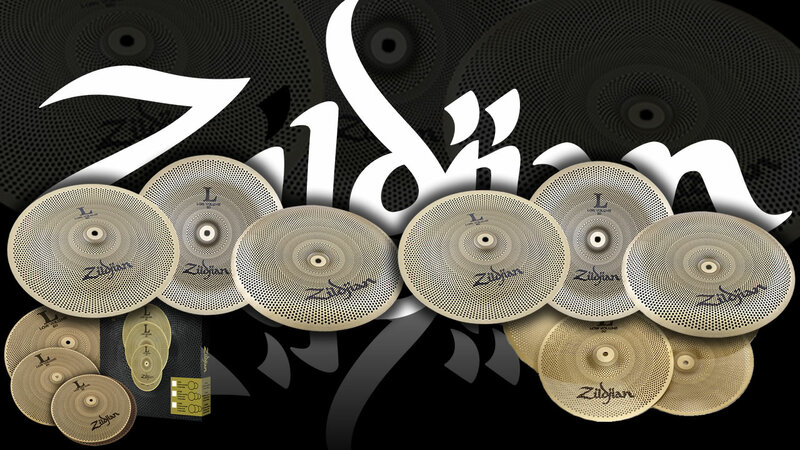 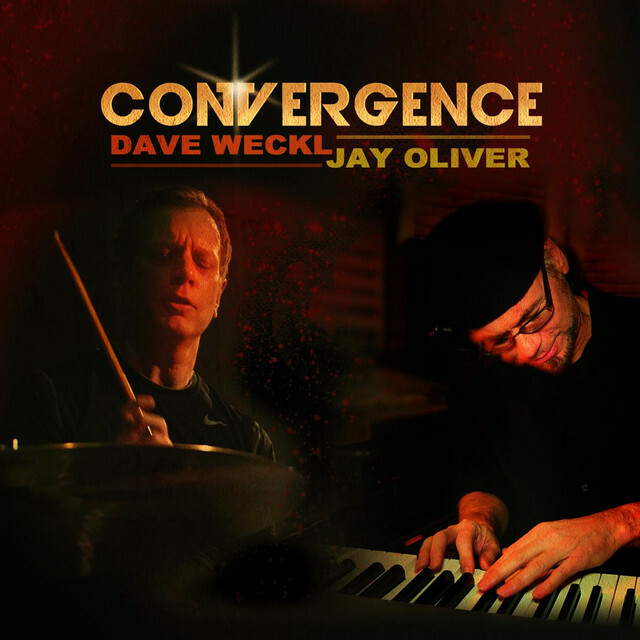 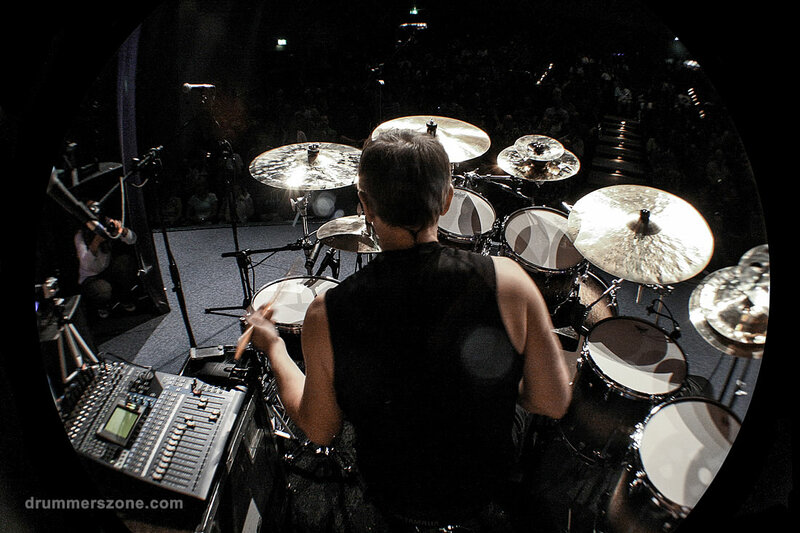 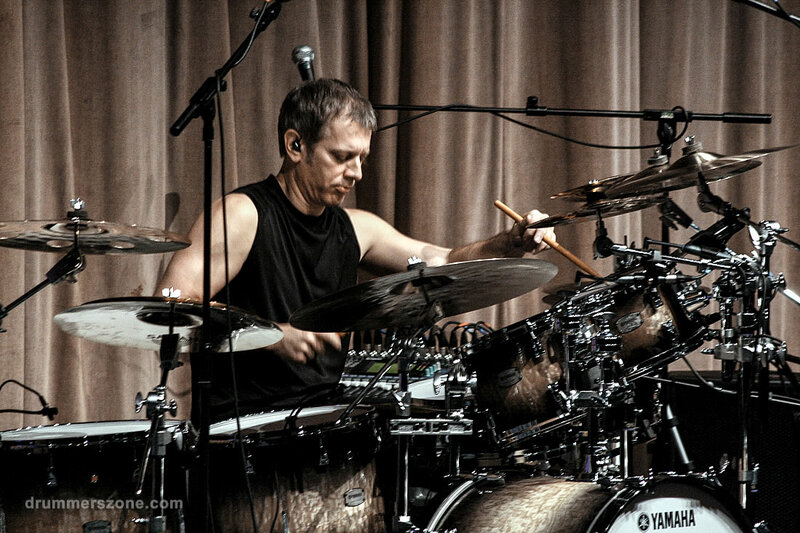 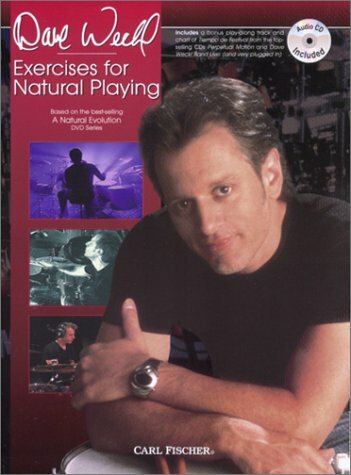 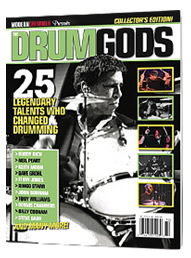 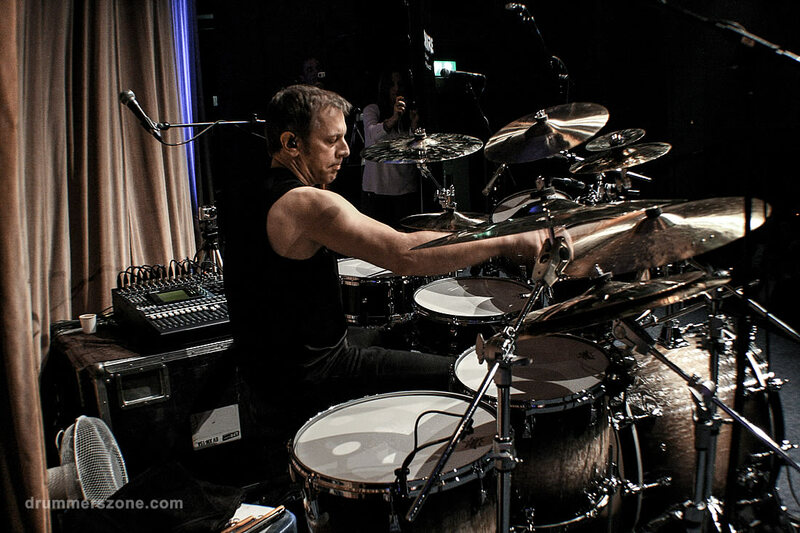 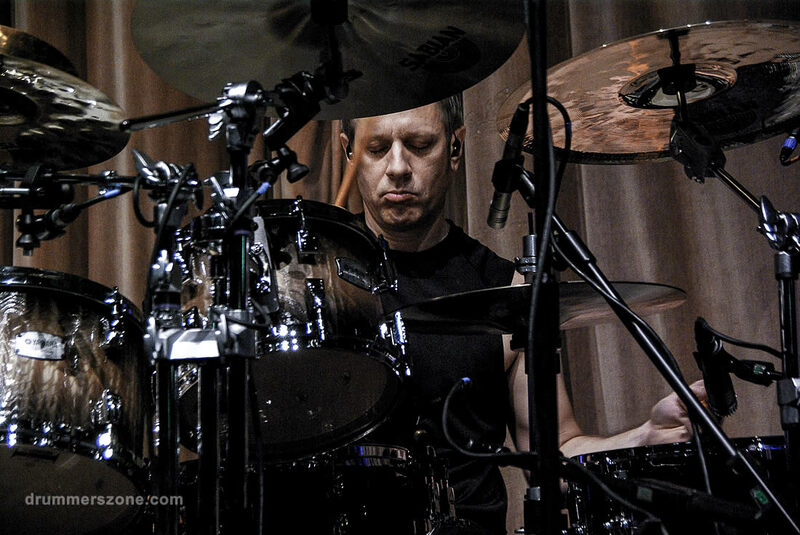 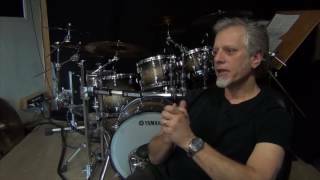 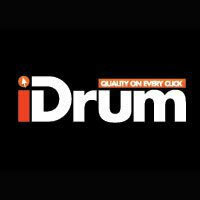 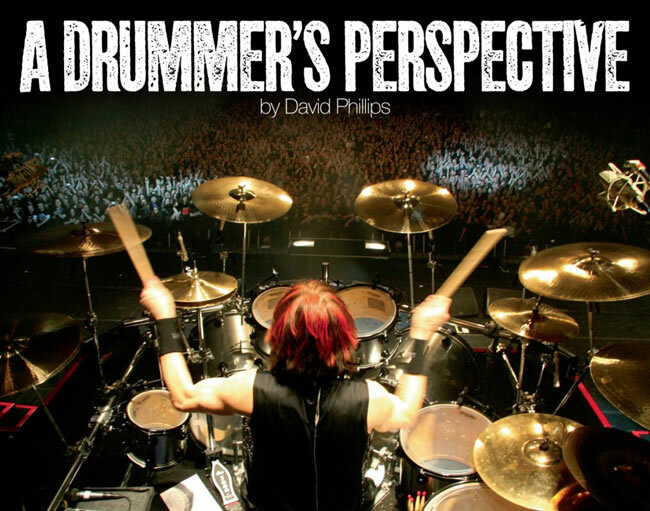 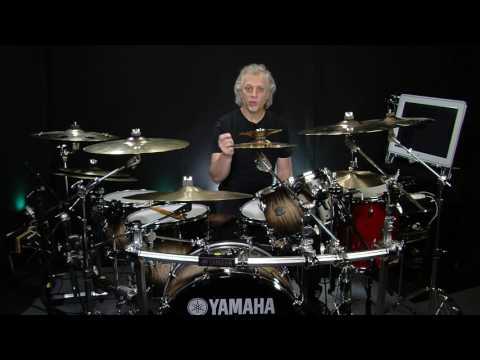 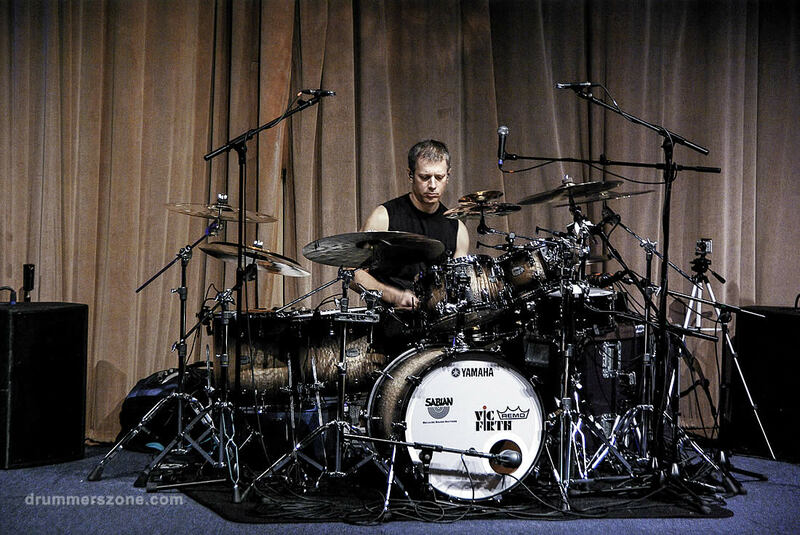 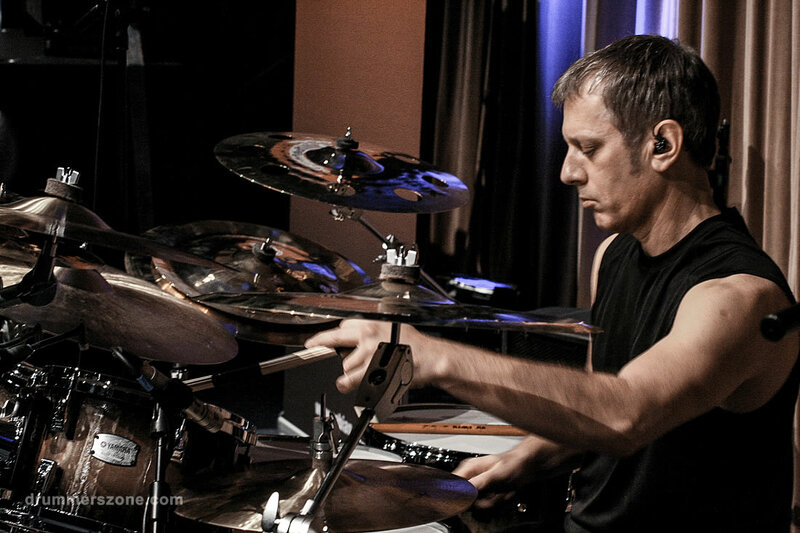 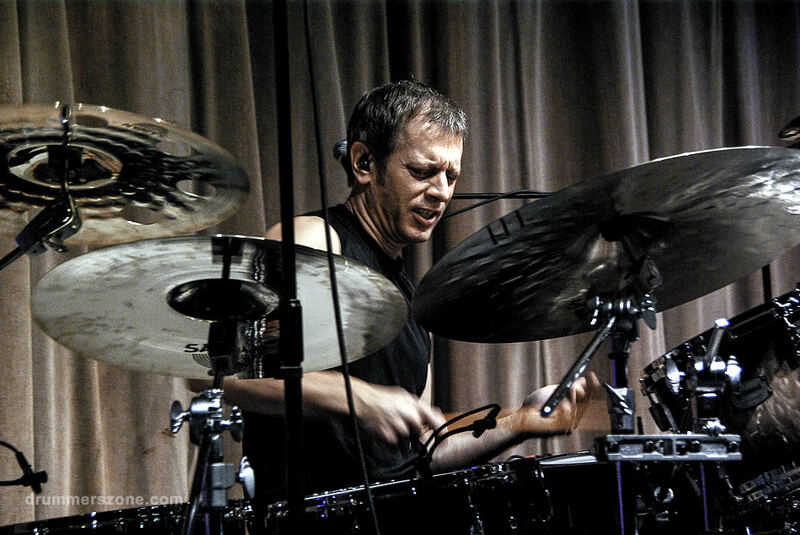 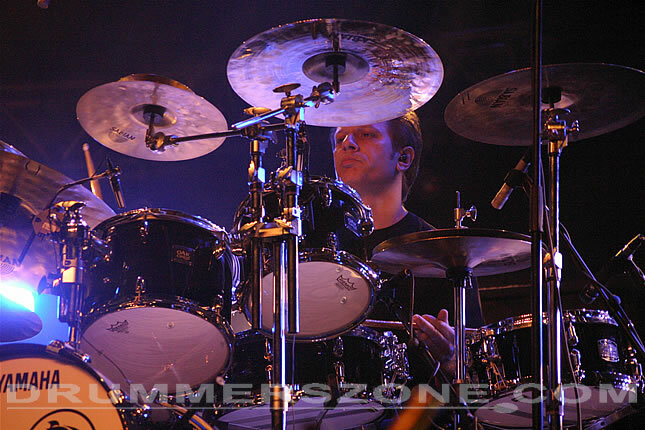 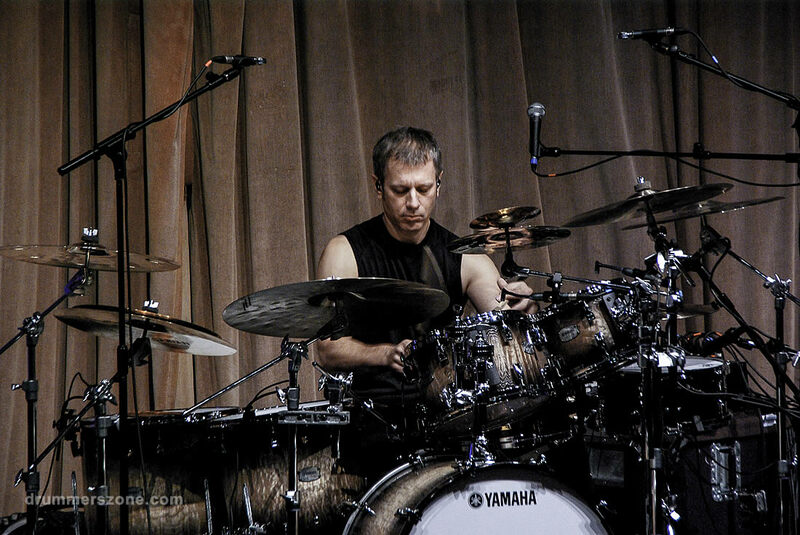 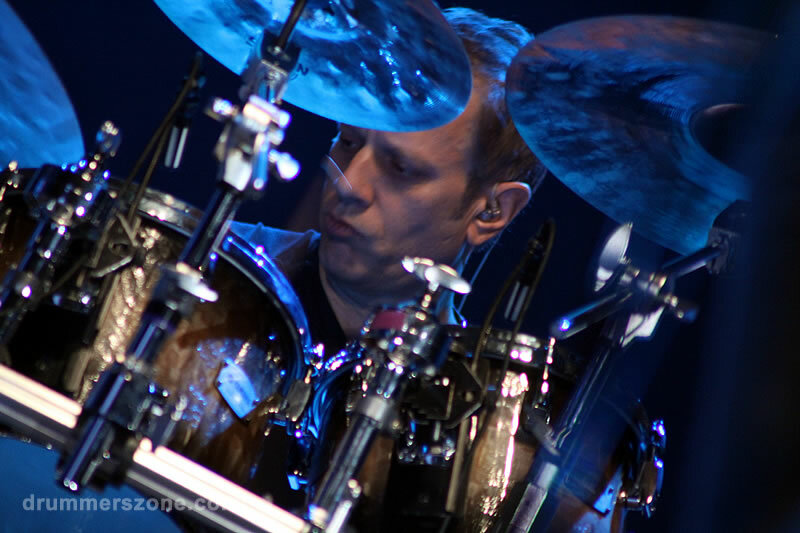 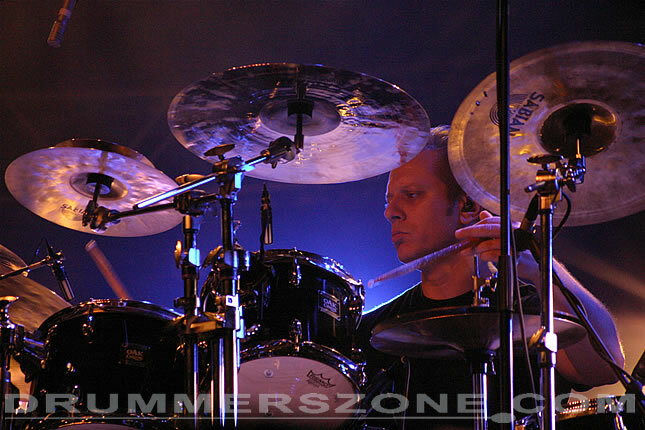 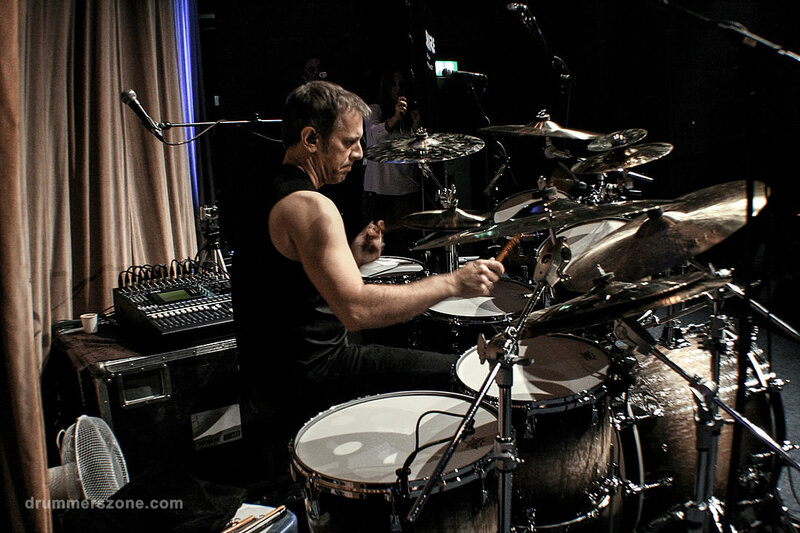 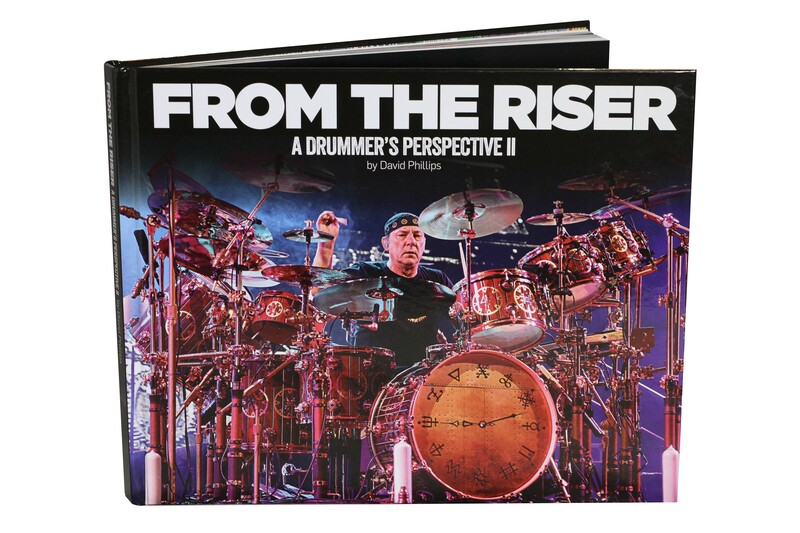 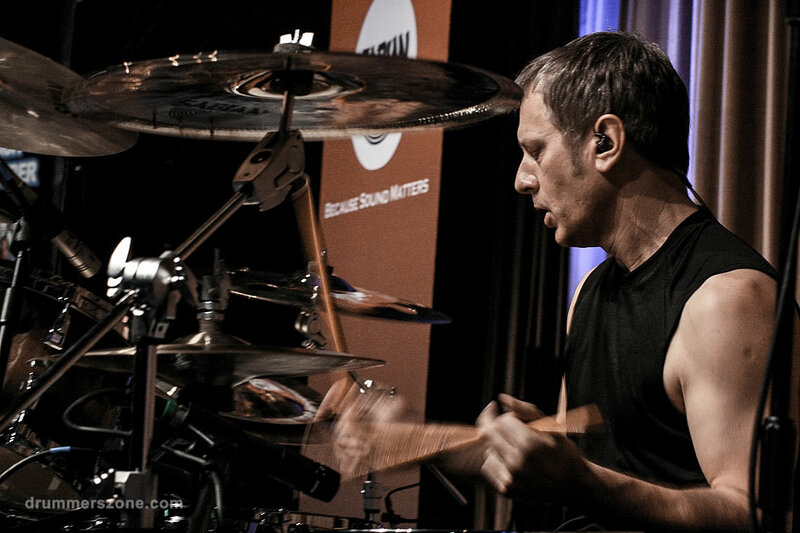 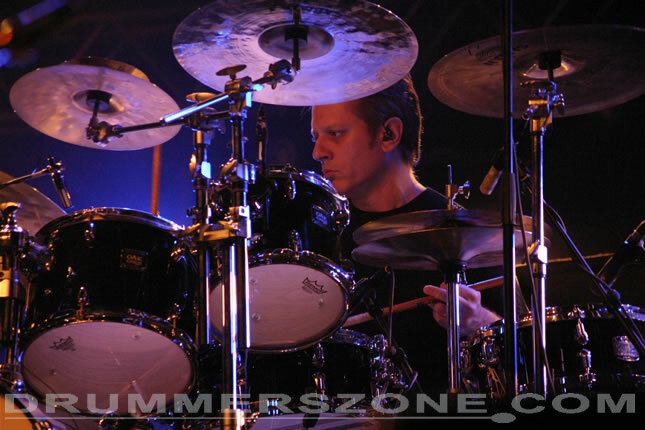 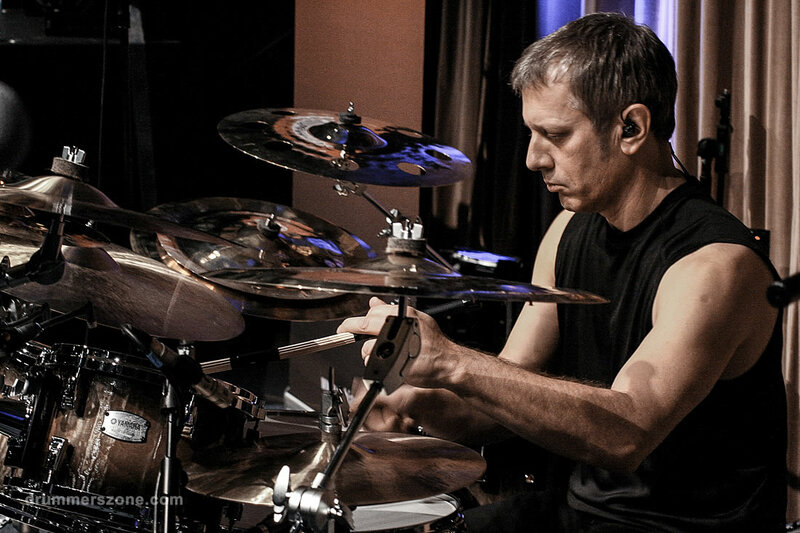 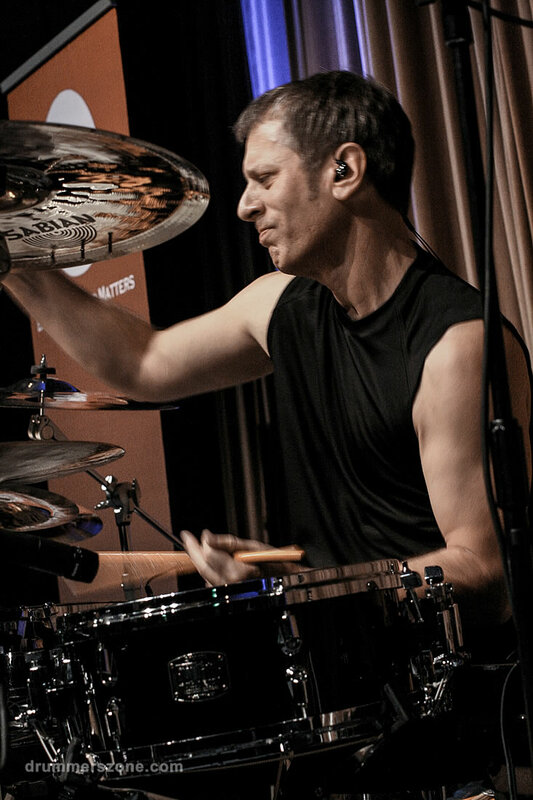 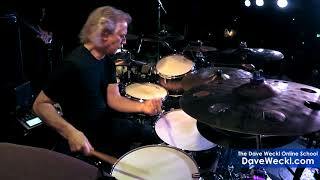 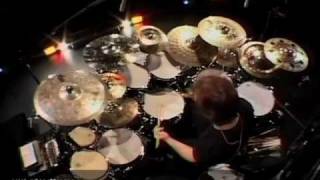 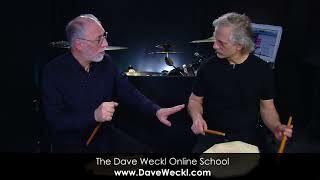 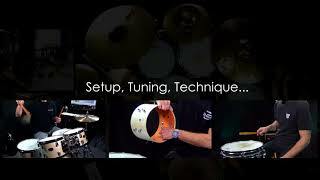 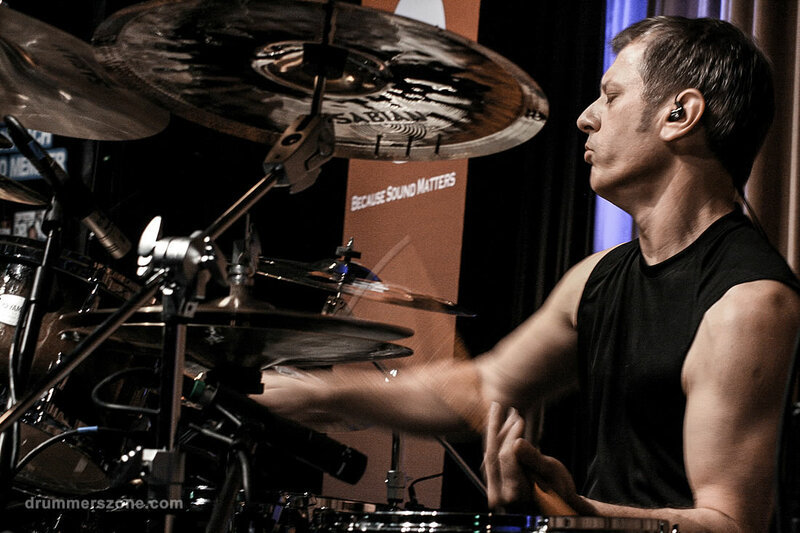 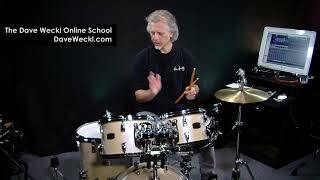 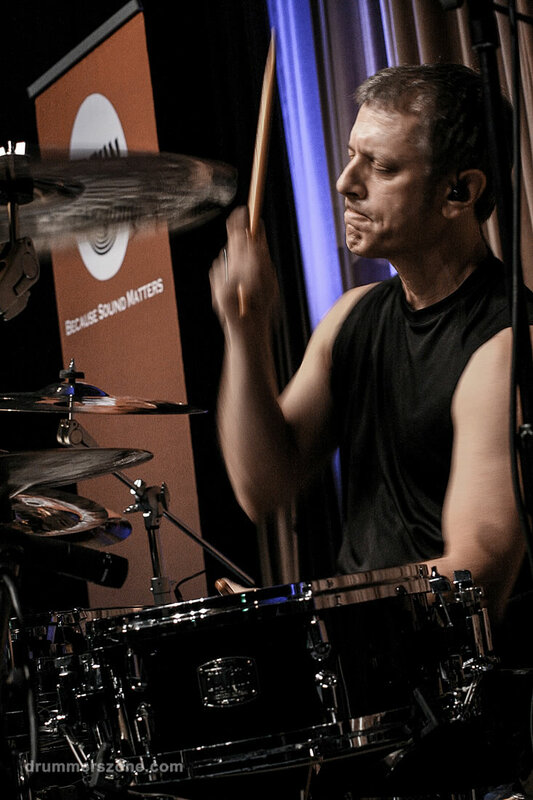 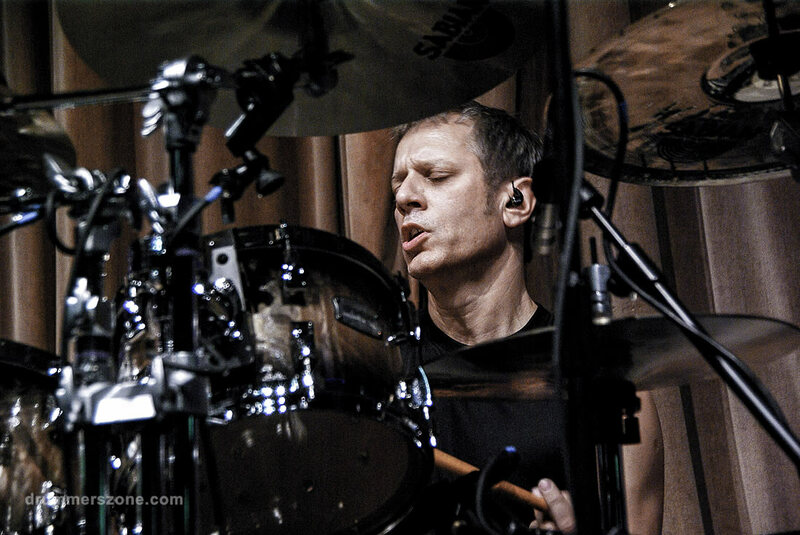 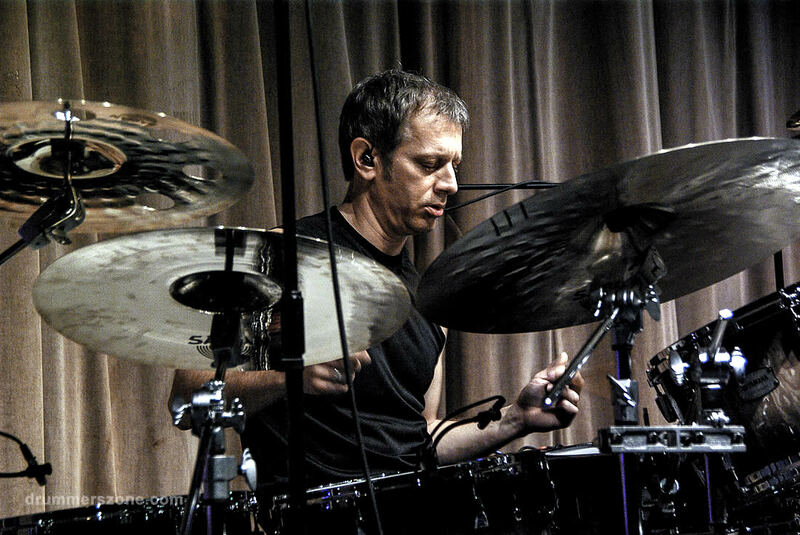 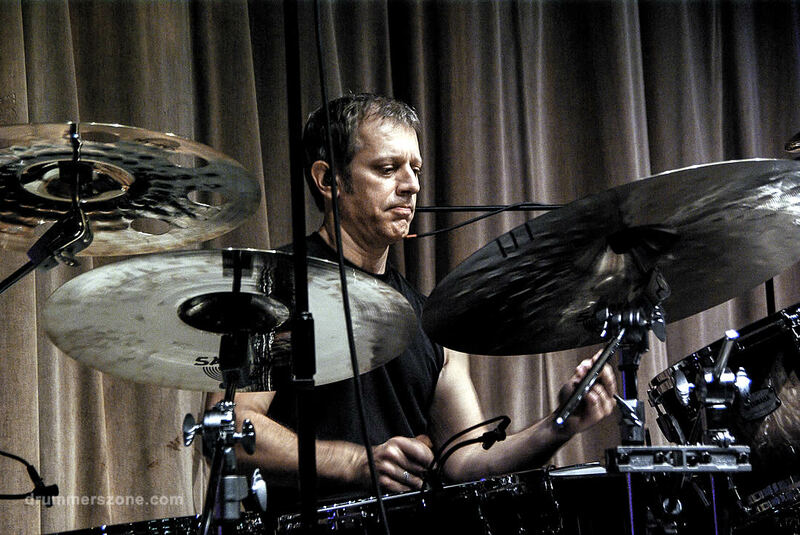 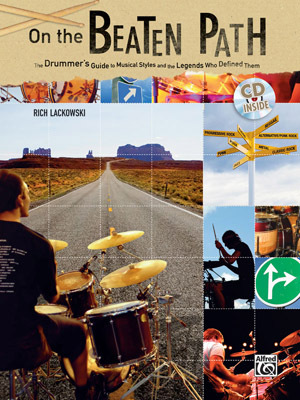 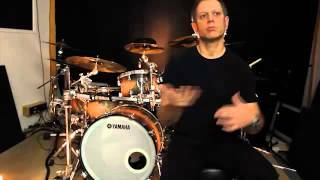 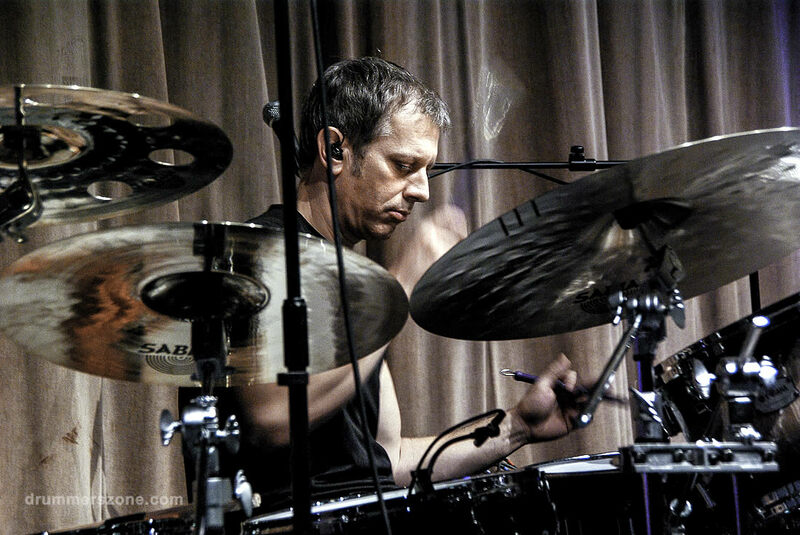 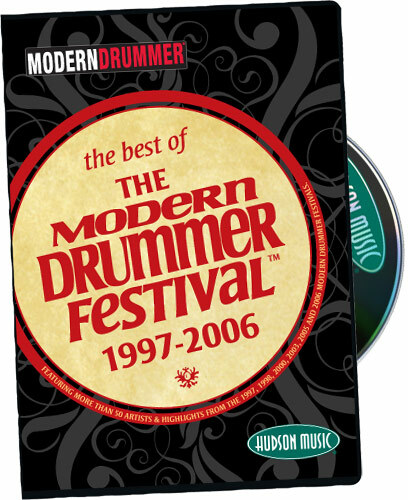 Dave Weckl is one of the most respected and talked about drummers on the scene today. 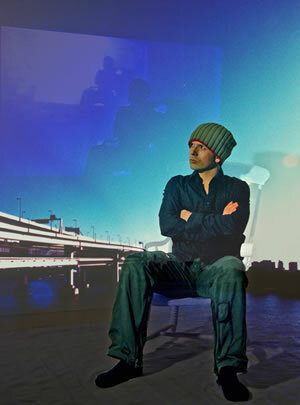 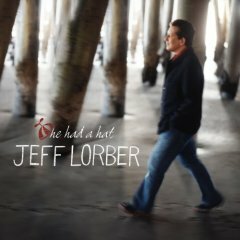 For the last 20 years he has maintained a reputation amongst his fans and peers as one of the very finest musicians in contemporary music. 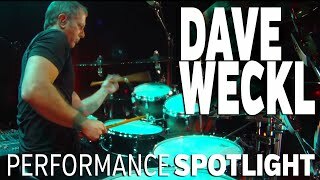 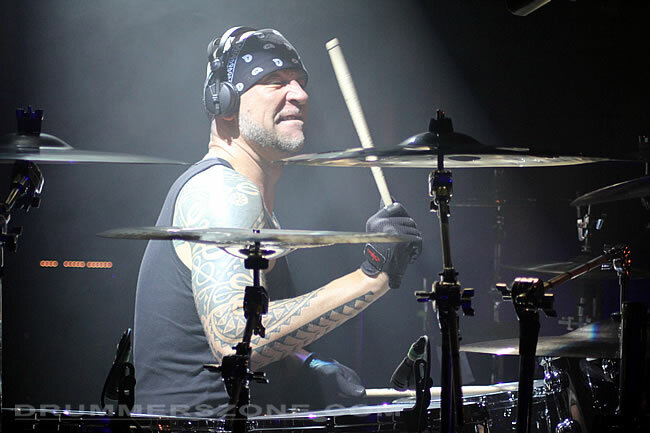 Born in St. Louis Missouri, January 8th, 1960, to a mother who loved music and a father who played the piano as a hobby, Dave started playing drums around the age of 8. 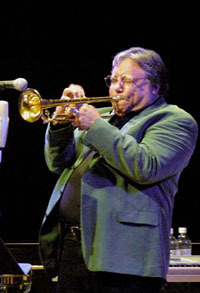 During his high school years he received many awards from the NAJE (National Association of Jazz Educators) for his outstanding performances in his high school's competition winning jazz band, and was involved with numerous local groups from a very early age while studying with St. Louis area teachers Bob Matheny and then Joe Buerger. 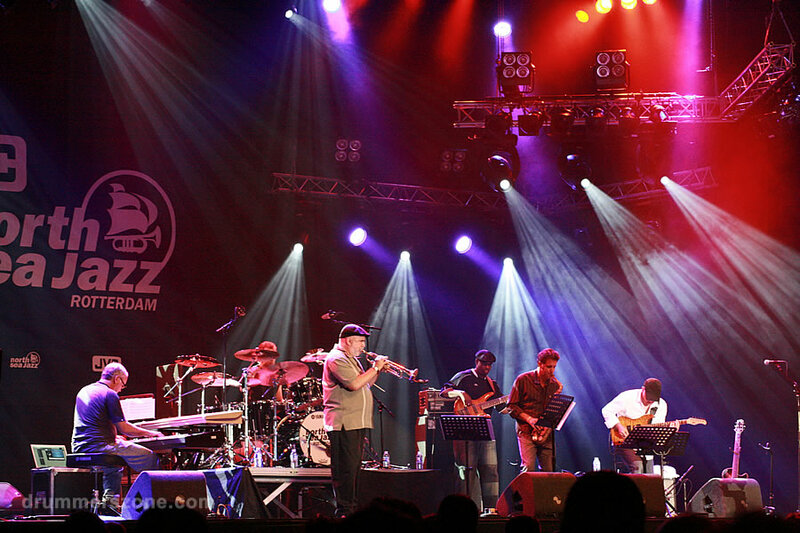 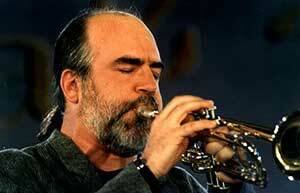 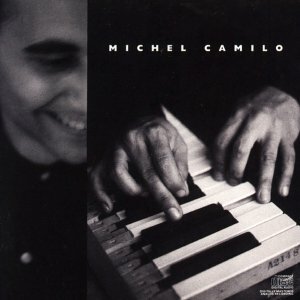 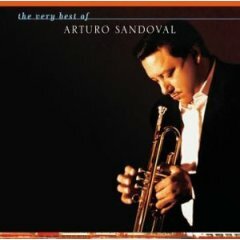 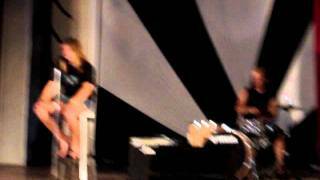 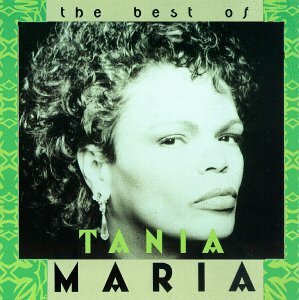 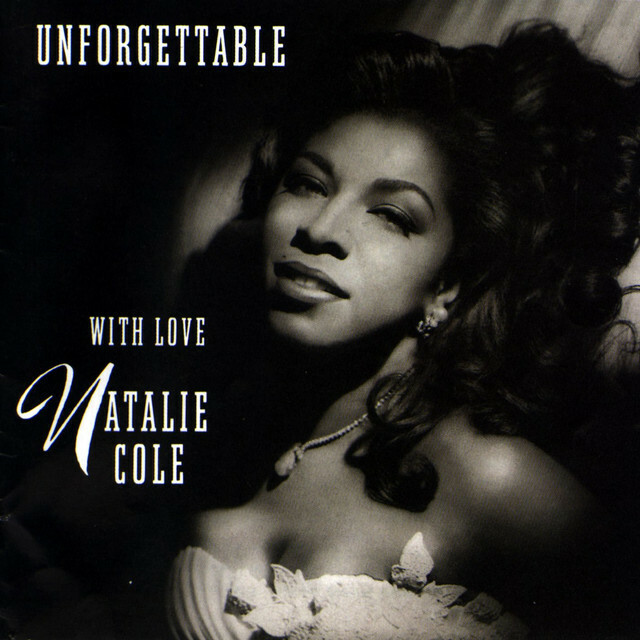 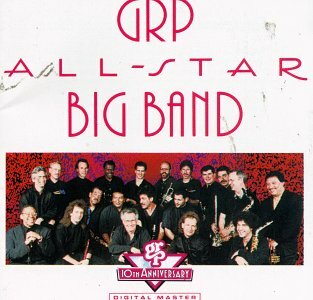 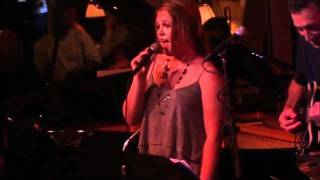 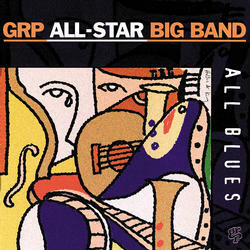 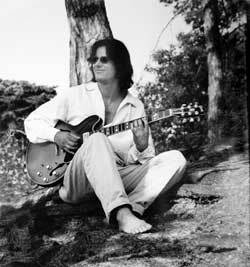 At age 16 he began to work professionally with local pop and jazz groups. 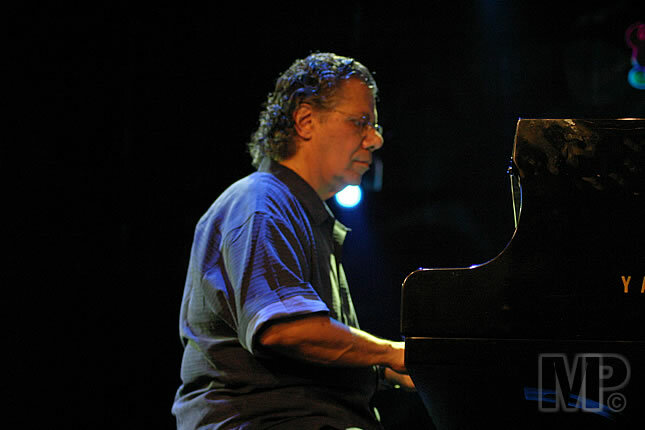 Shortly after his 19th birthday, he moved to the east coast in 1979 to study music at the University of Bridgeport in Connecticut. 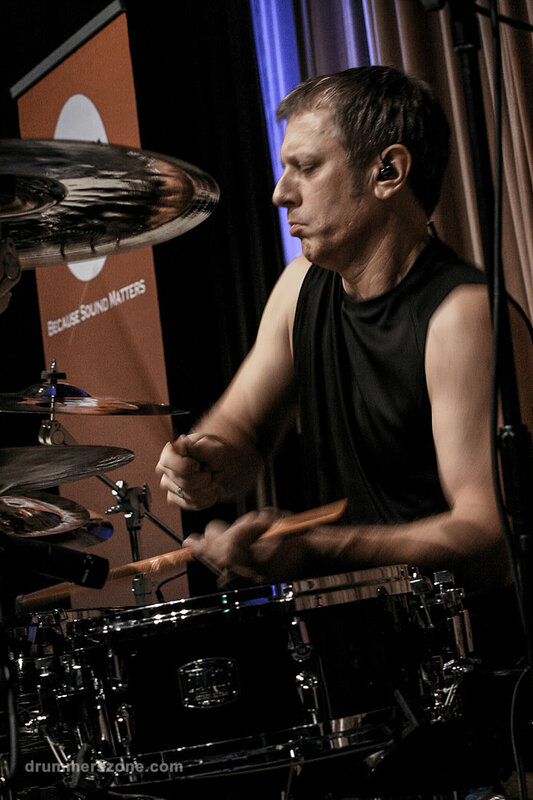 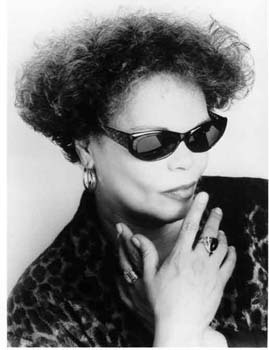 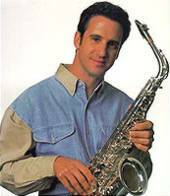 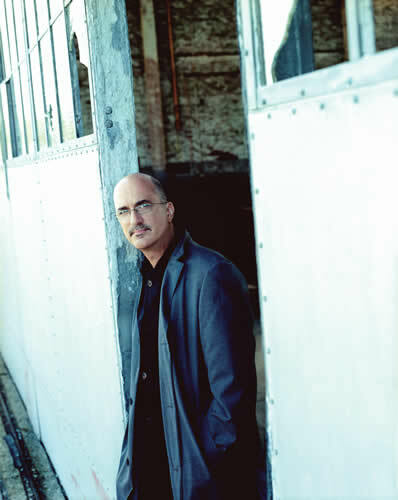 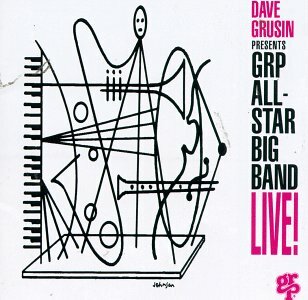 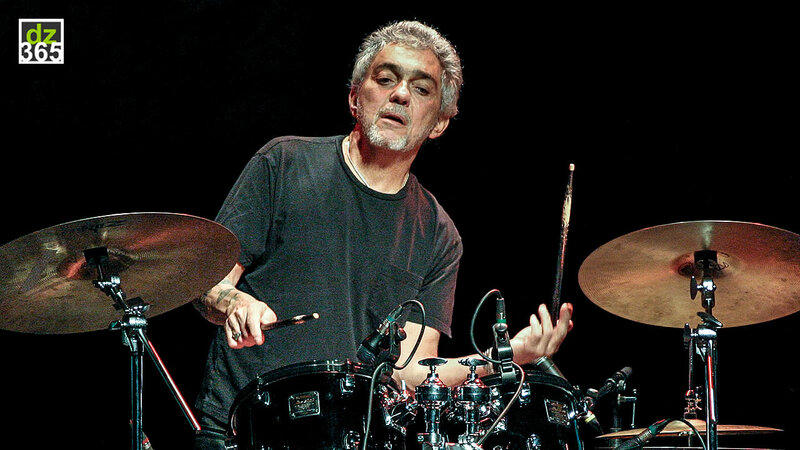 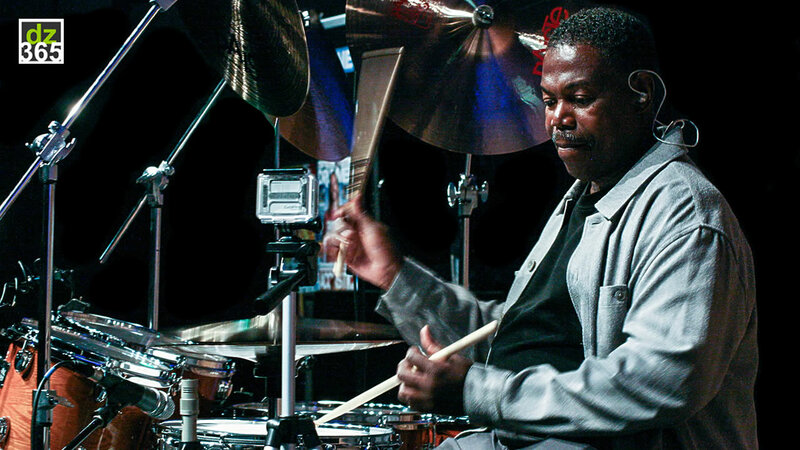 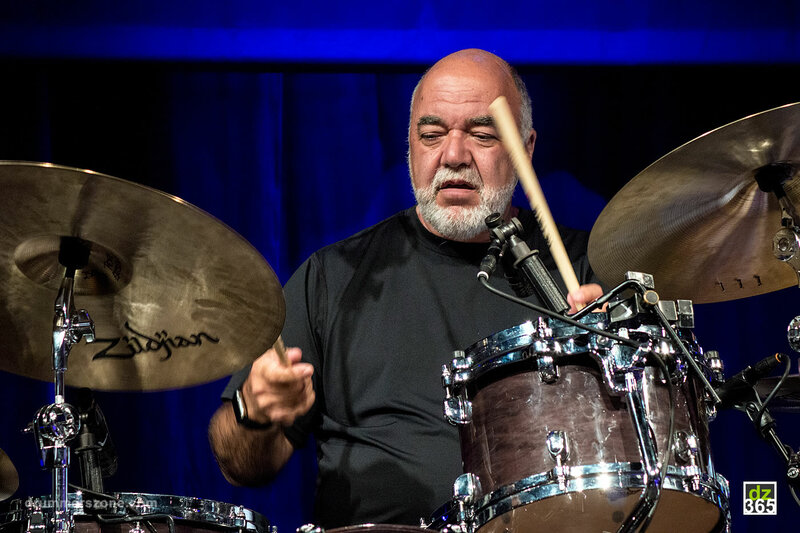 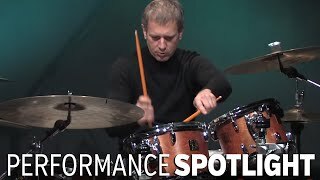 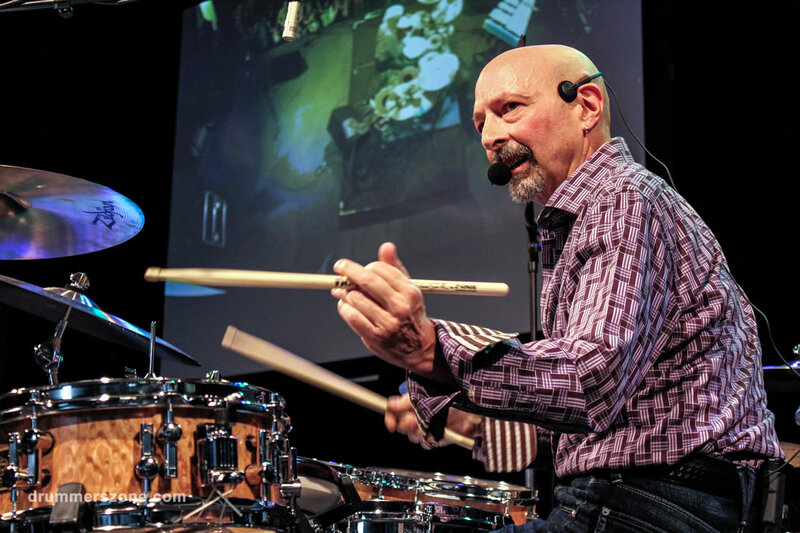 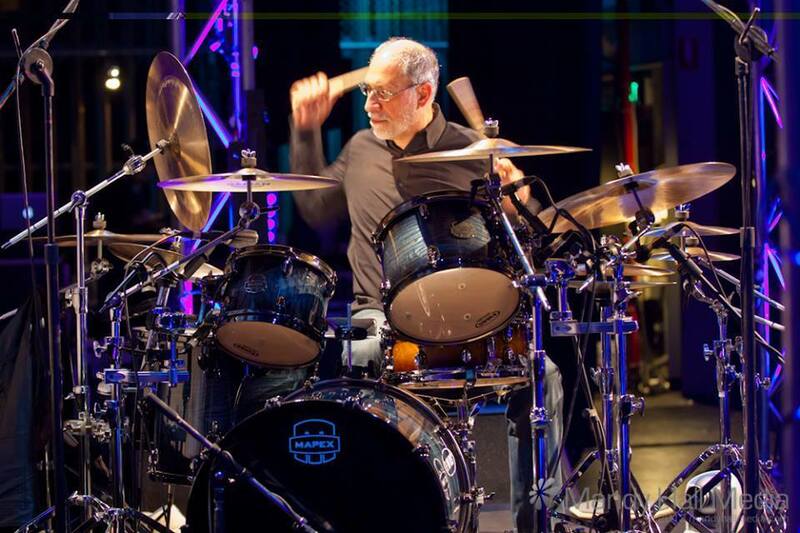 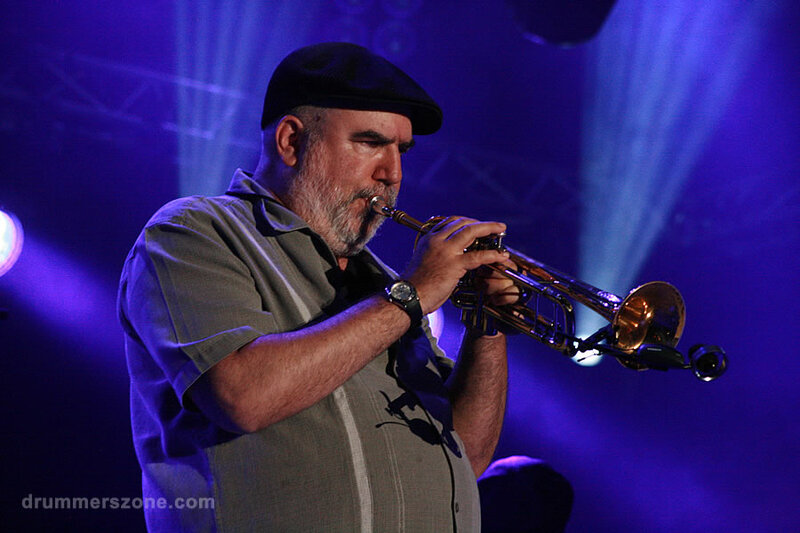 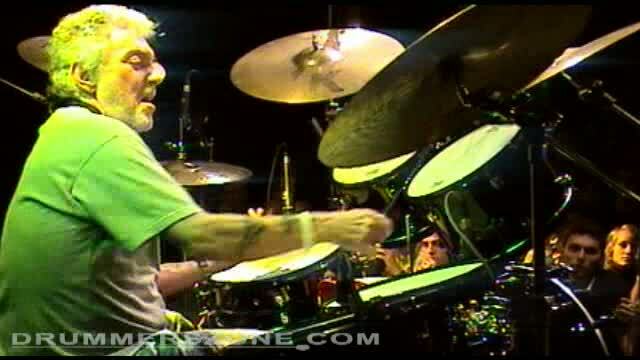 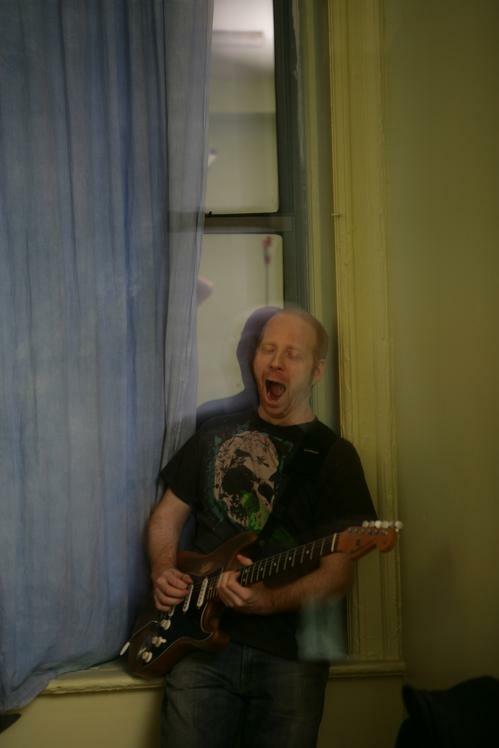 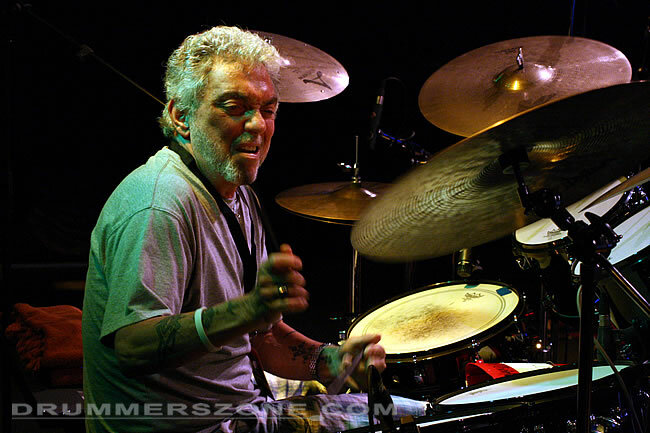 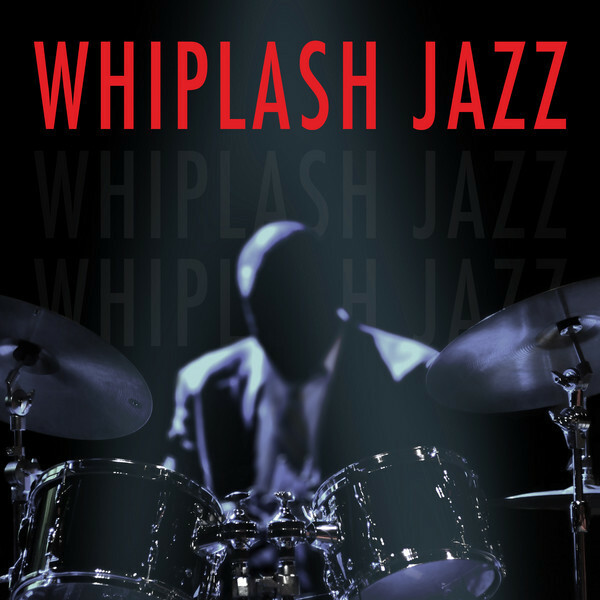 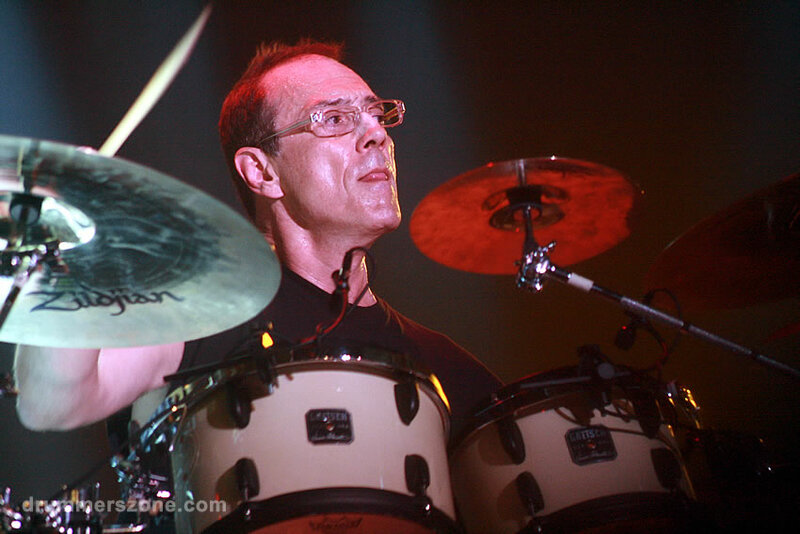 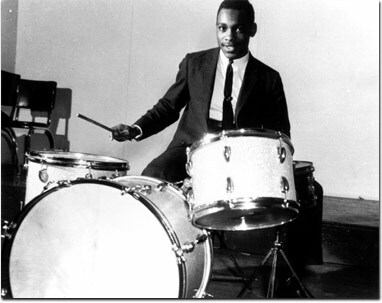 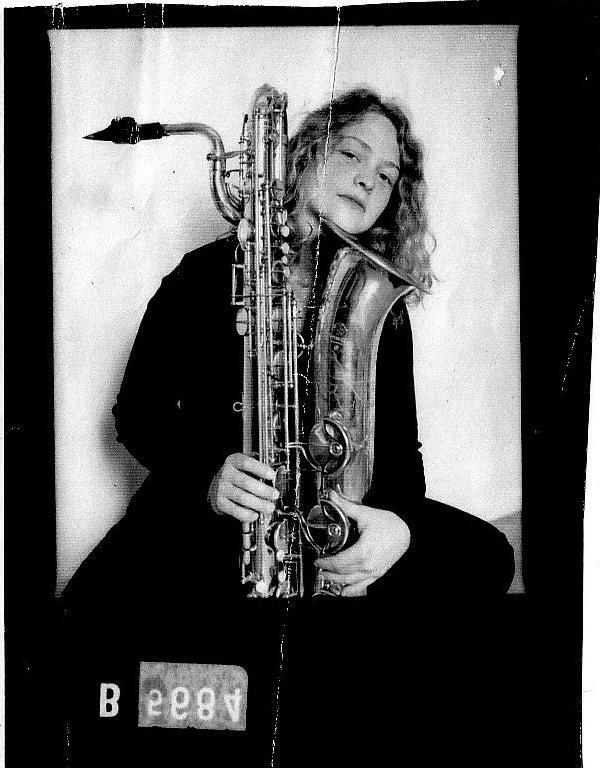 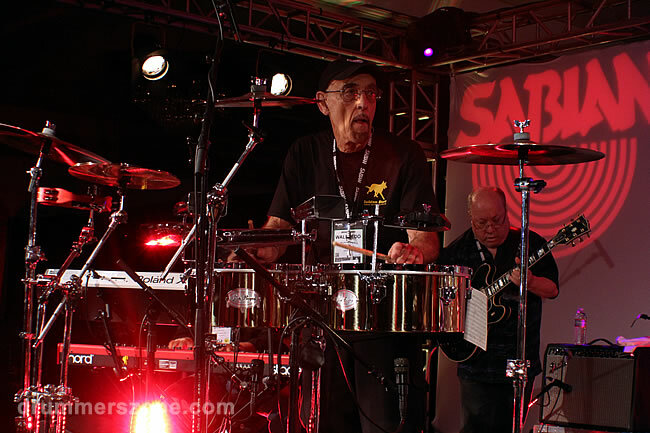 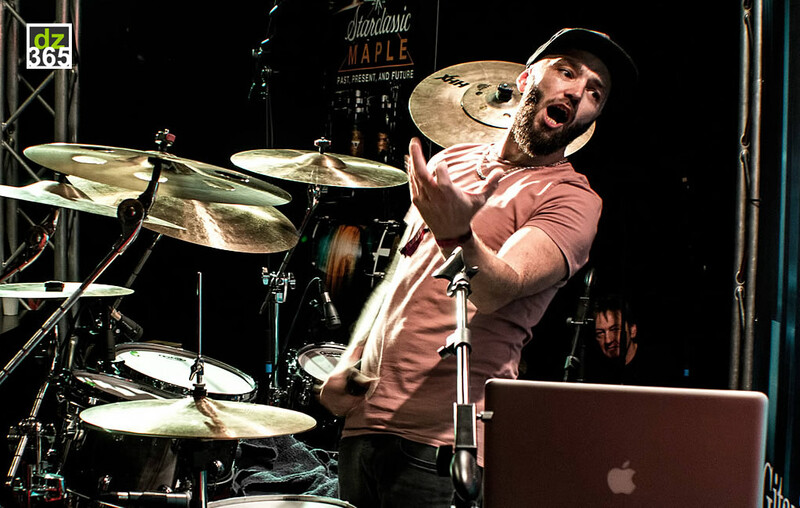 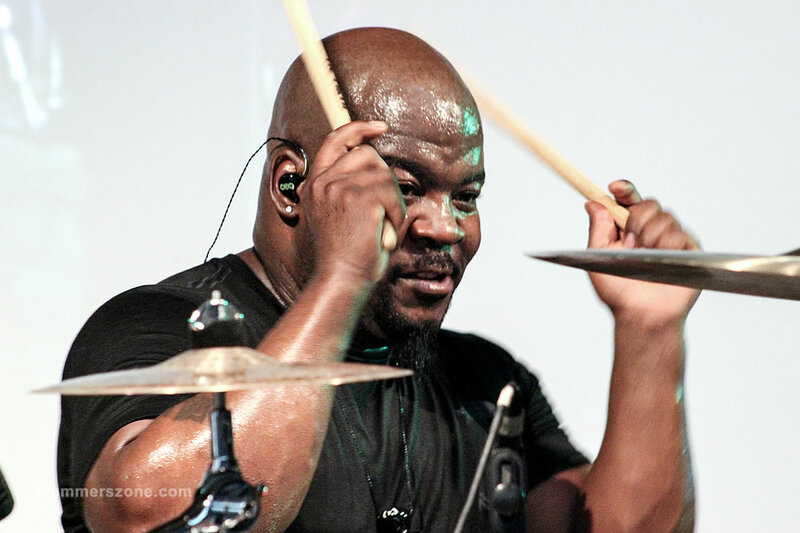 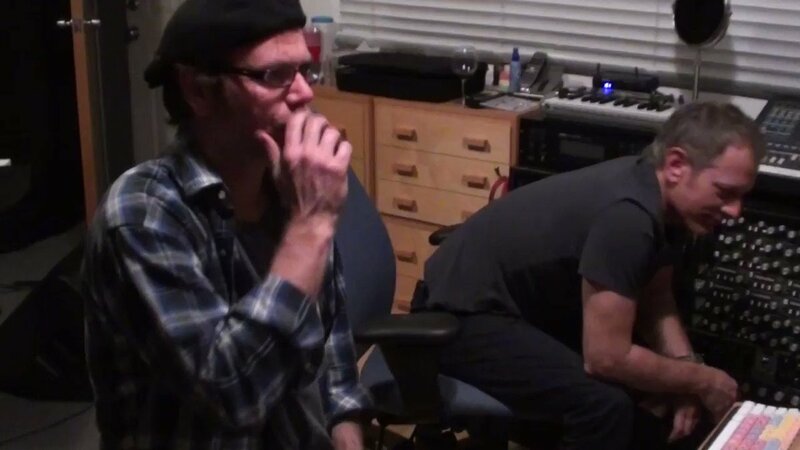 While playing the club scene in New York City with a band called Nite Sprite, Dave started to receive accolades from established studio musicians such as Steve Kahn, Michael Brecker, and especially the great drummer Peter Erskine. 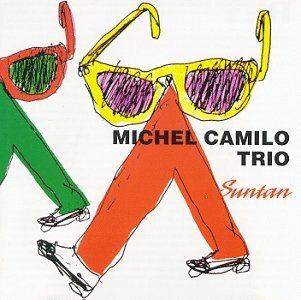 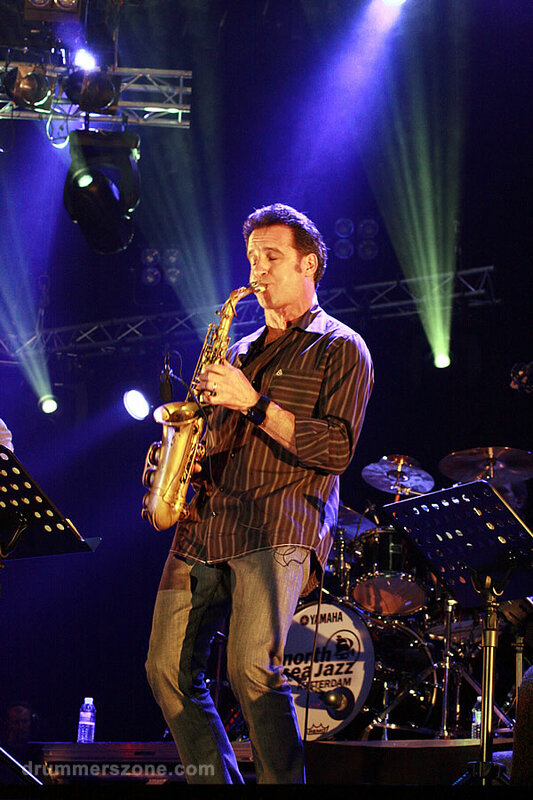 It was Peter who recommended Dave for his first 'big gig' in town with a group called French Toast, forerunner to the Michel Camillo band, which has been recorded quite extensively over the years. 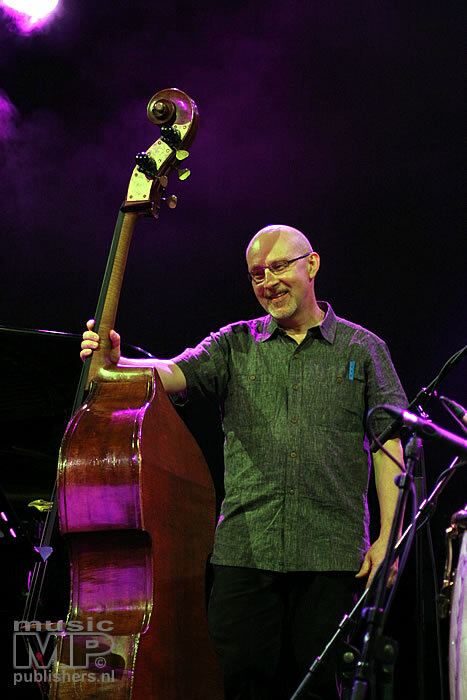 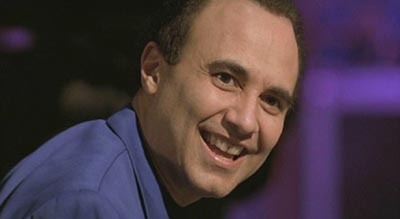 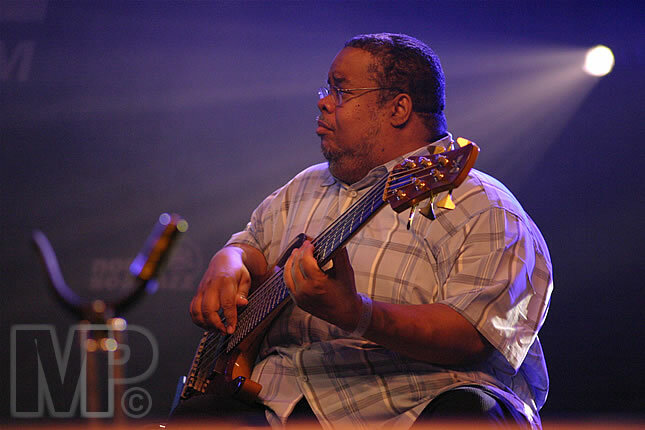 From this group bassist Anthony Jackson recommended Dave for the prestigious Simon and Garfunkel reunion tour in 1983. 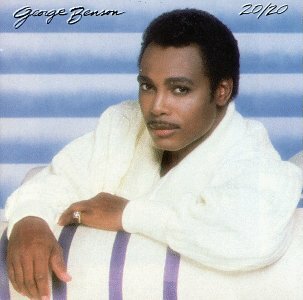 After this tour it was not long before he was regularly being called for radio and TV jingles, sound track sessions, and top recording dates with such artists as George Benson, Peabo Bryson, Diana Ross and Robert Plant, to name a few. 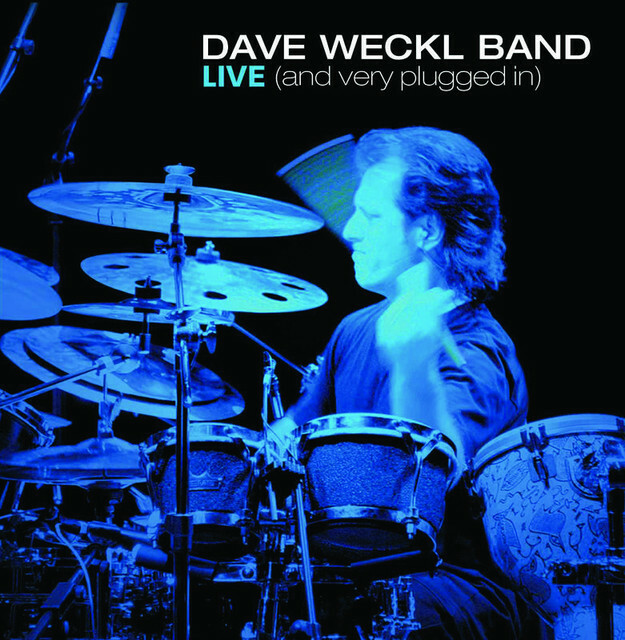 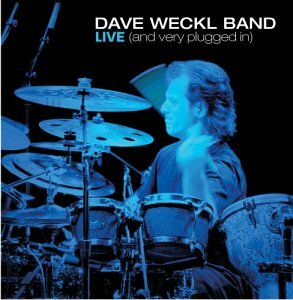 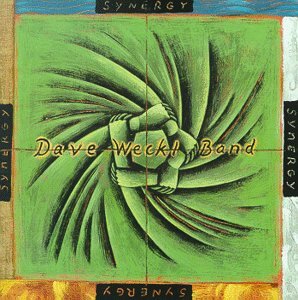 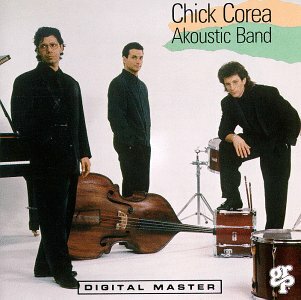 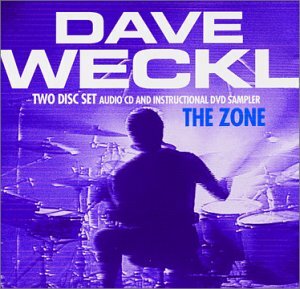 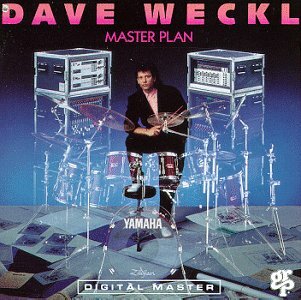 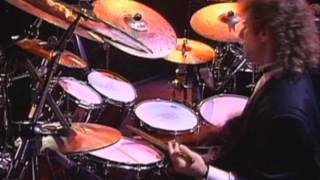 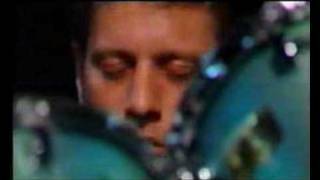 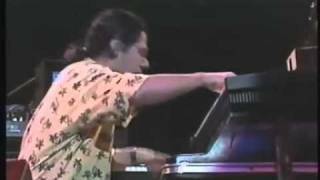 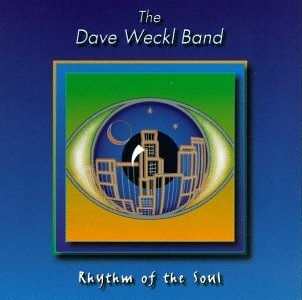 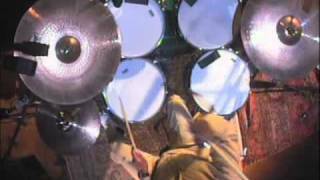 In 1985 Michael Brecker suggested to Chick Corea that he check out this new young guy in town, Dave Weckl, for his new 'Elektric Band'. 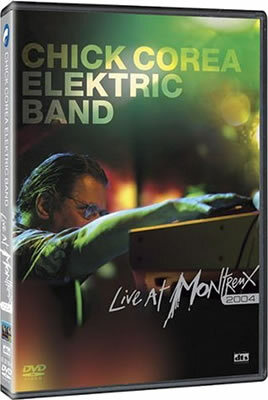 That was the beginning of a 7 year relationship with both the 'Elektric' and 'Akoustic' Bands, where 9 recordings and 3 videos were produced, and the 'Akoustic Band' winning a Grammy for the band's first release. 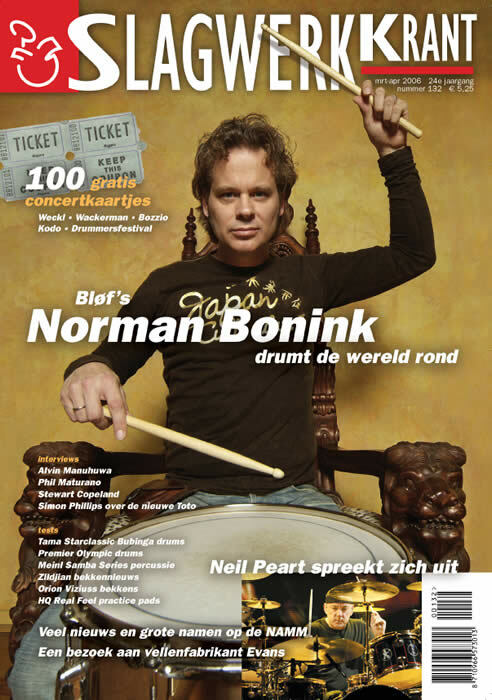 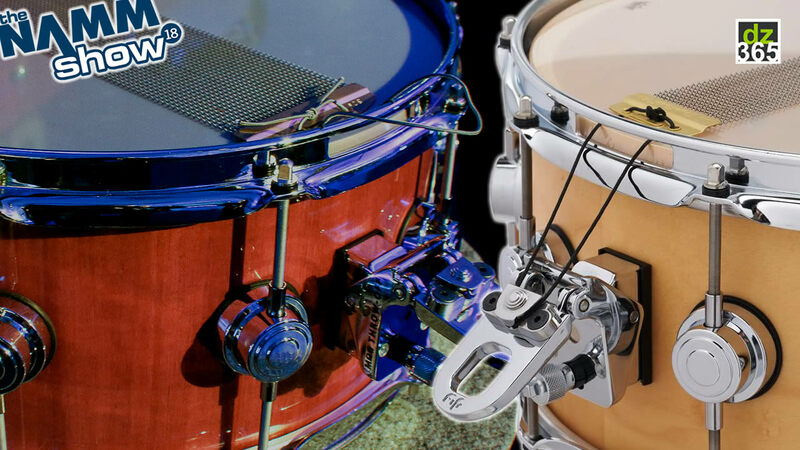 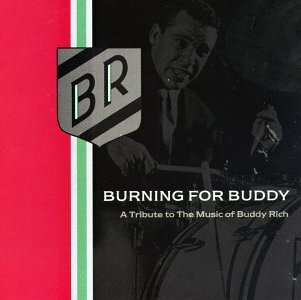 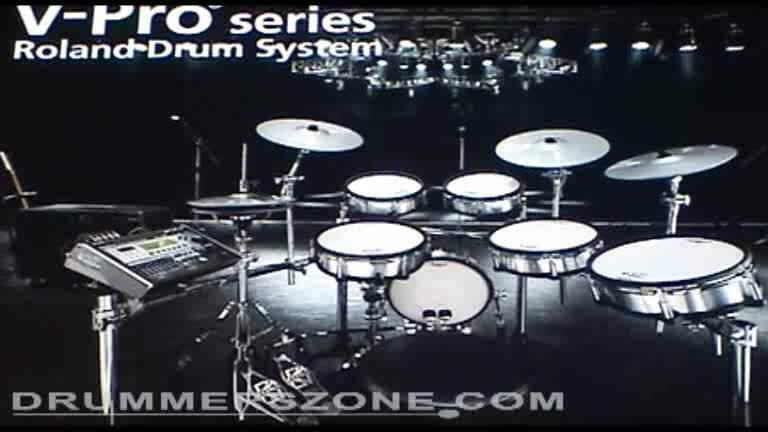 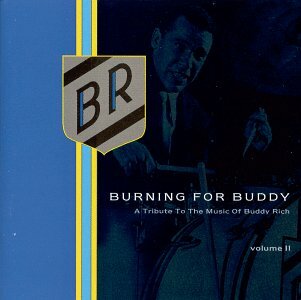 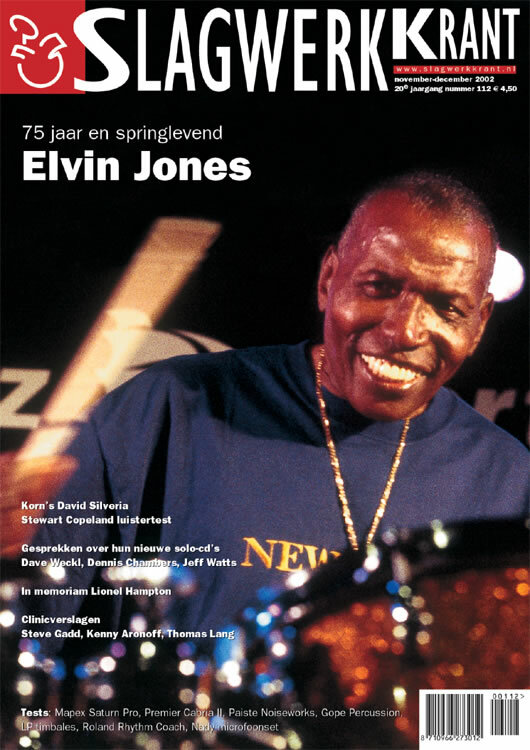 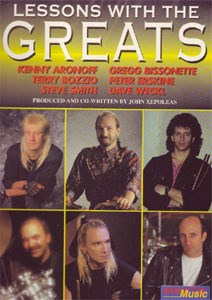 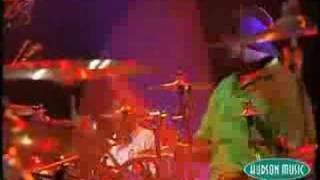 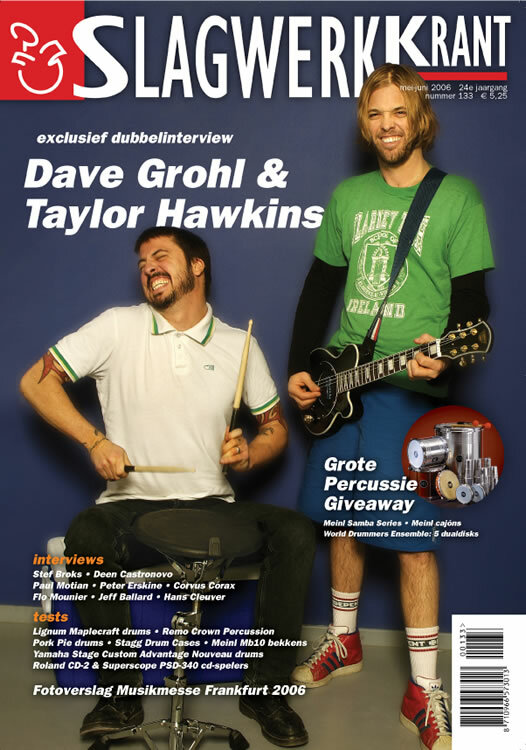 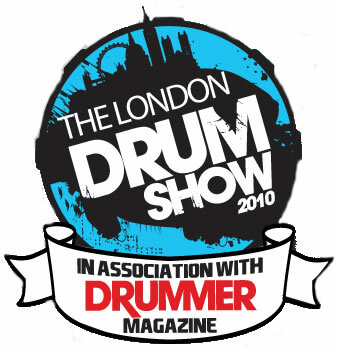 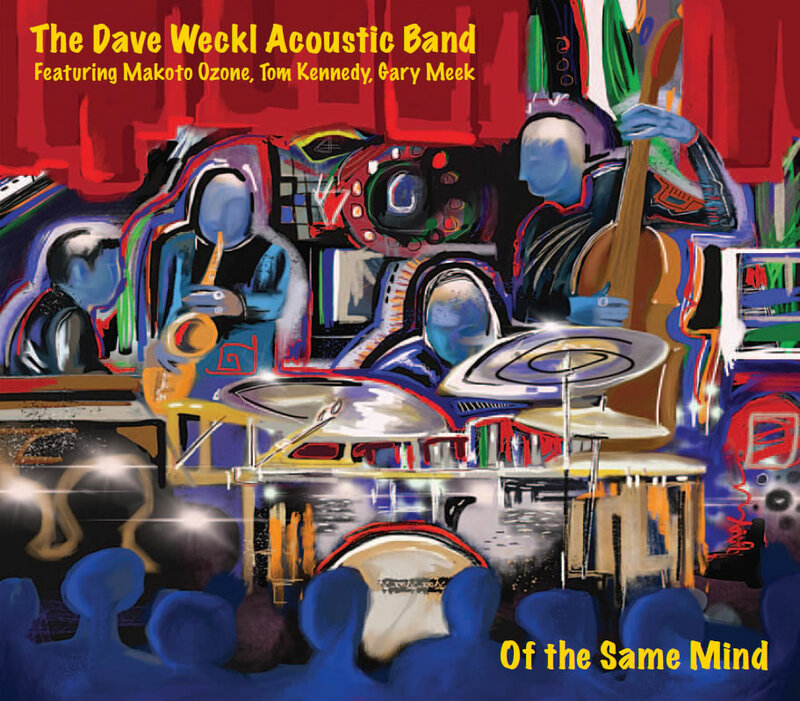 It was also the Elektric Band's first recording where Dave's spectacular drumming and innovative use of combining electric and acoustic drums really brought him world wide recognition. 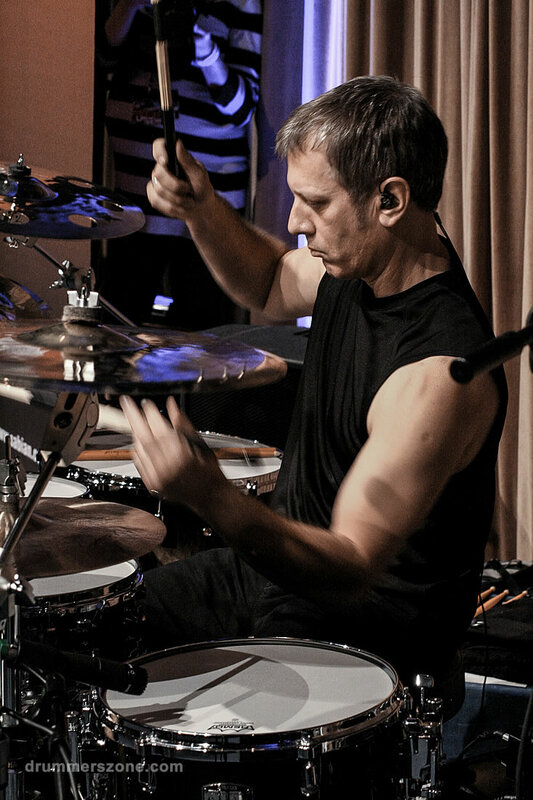 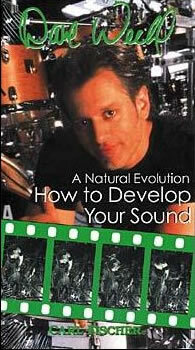 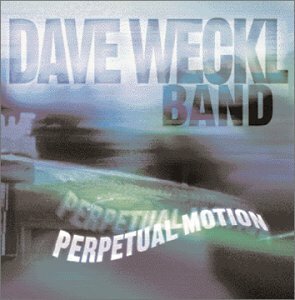 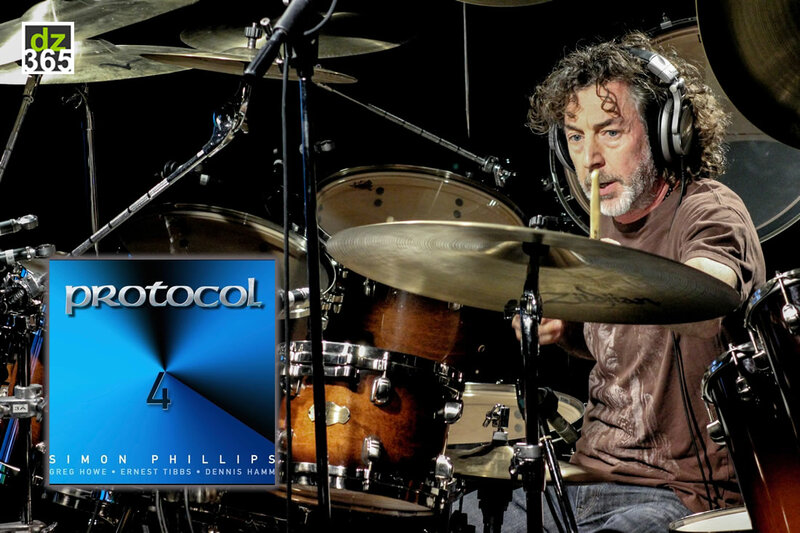 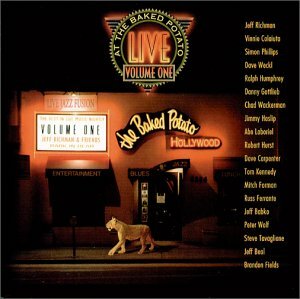 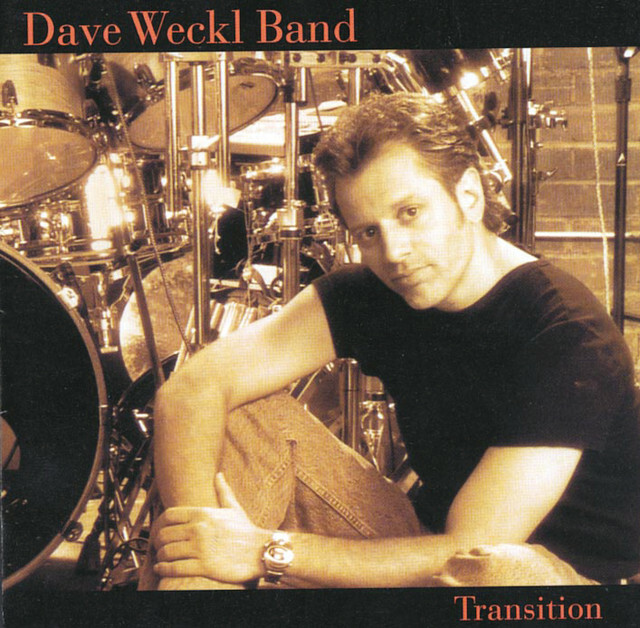 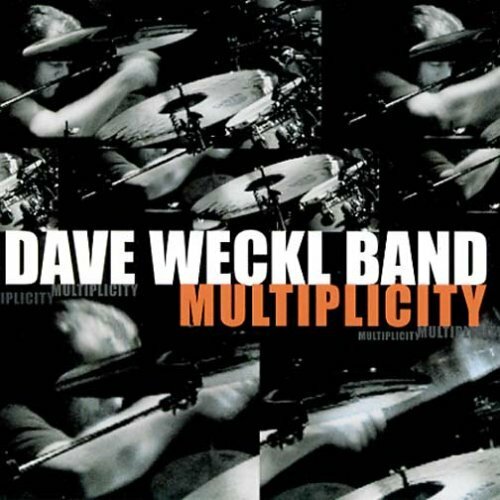 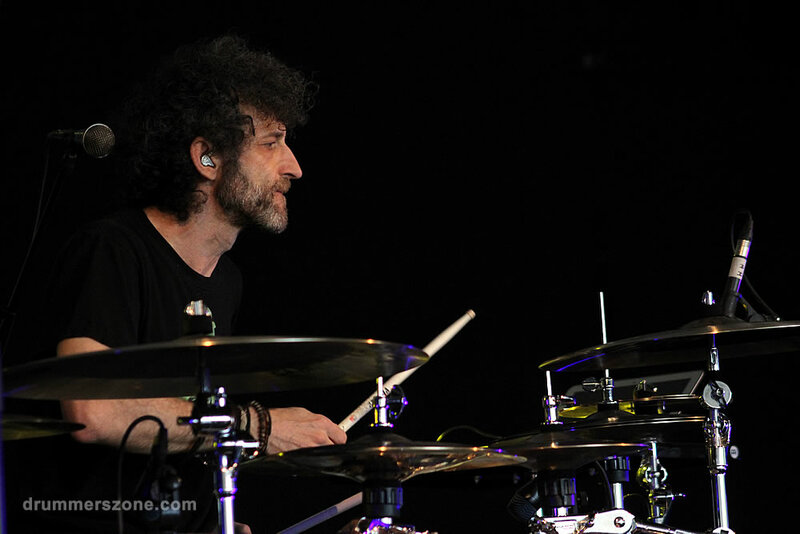 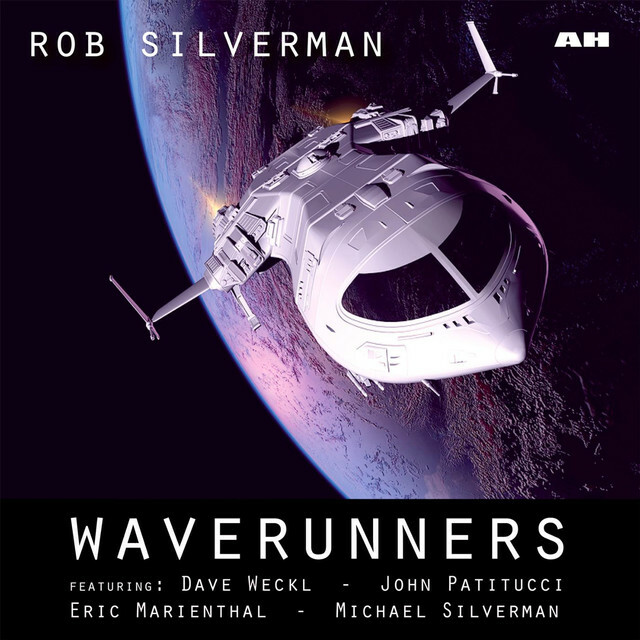 Dave has since gone on to record and produce eight of his own recordings to date; 'Masterplan', 'Heads Up', and 'Hardwired', available on GRP/MCA records, and most recently with the Dave Weckl Band, 'Perpetual Motion', 'The Zone', 'Transition', 'Synergy' and 'Ryhthm Of The Soul' on Stretch/Concord Records. 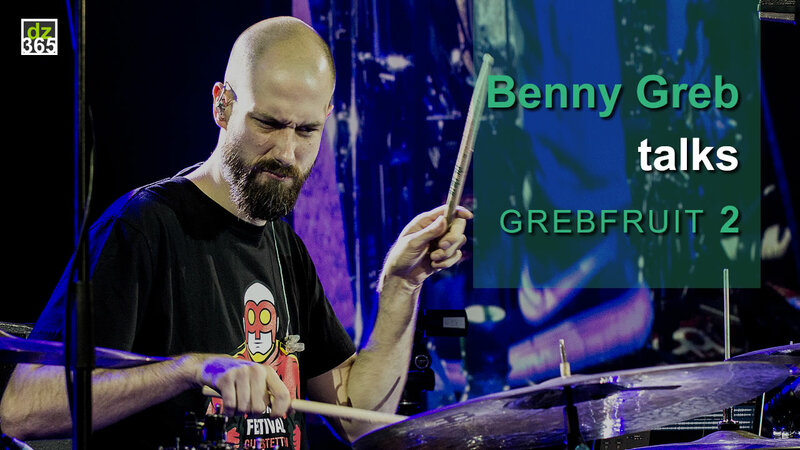 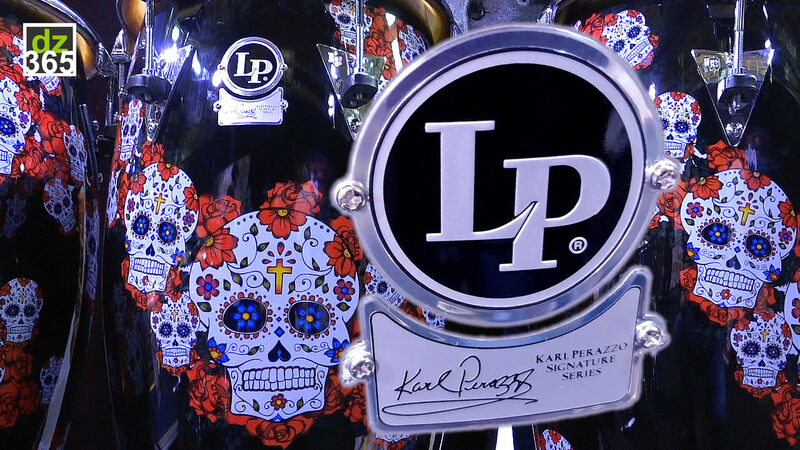 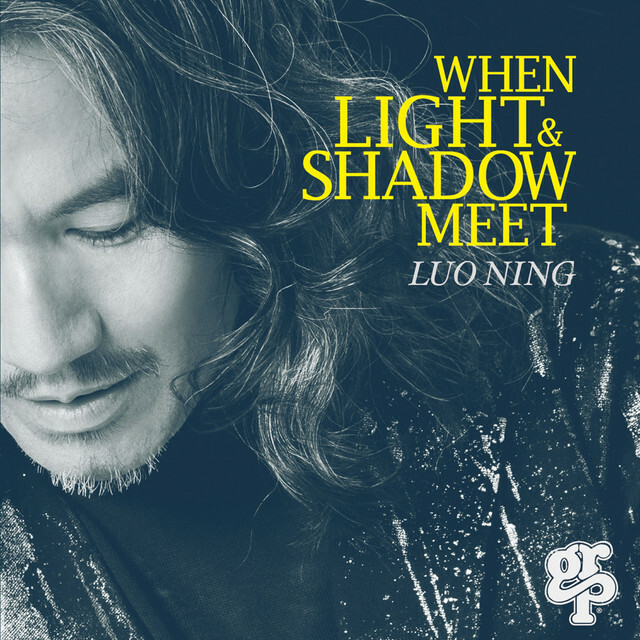 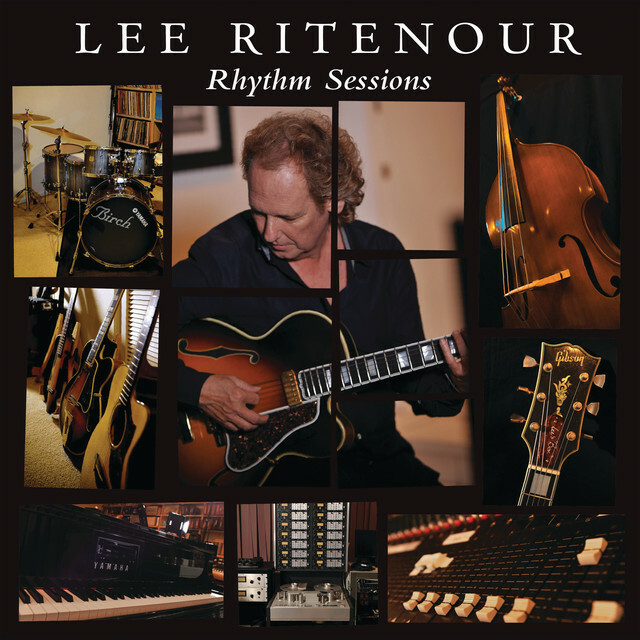 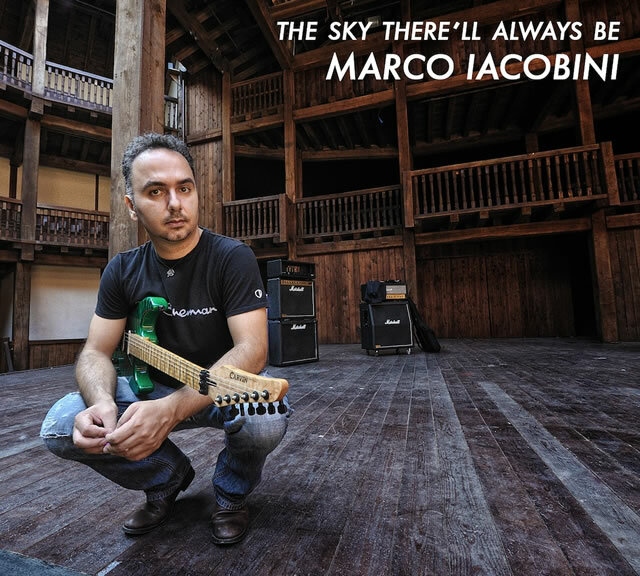 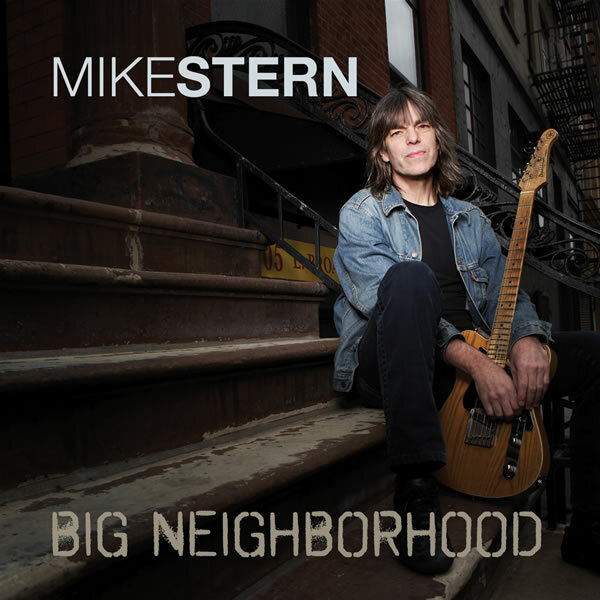 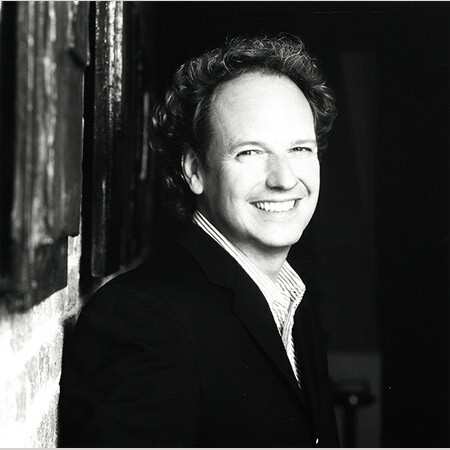 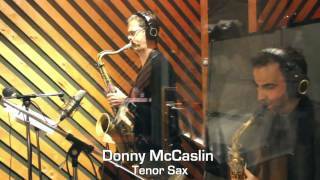 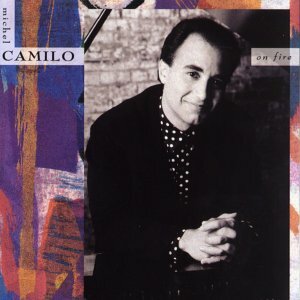 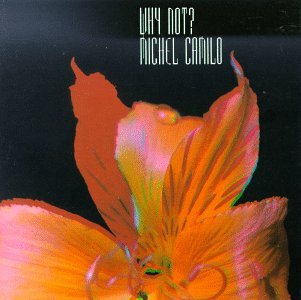 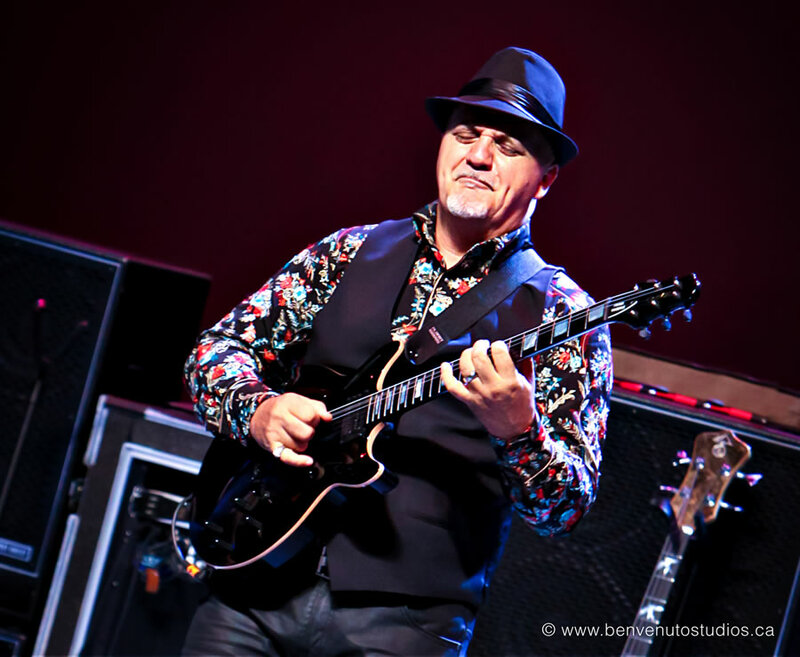 His own band has kept him very busy the last few years, but when off the road he keeps busy with session work and record dates in the Los Angeles area, as well as appearing occasionally with the likes of Lee Ritenour, Marco Mendoza, Alan Pasqua and others. 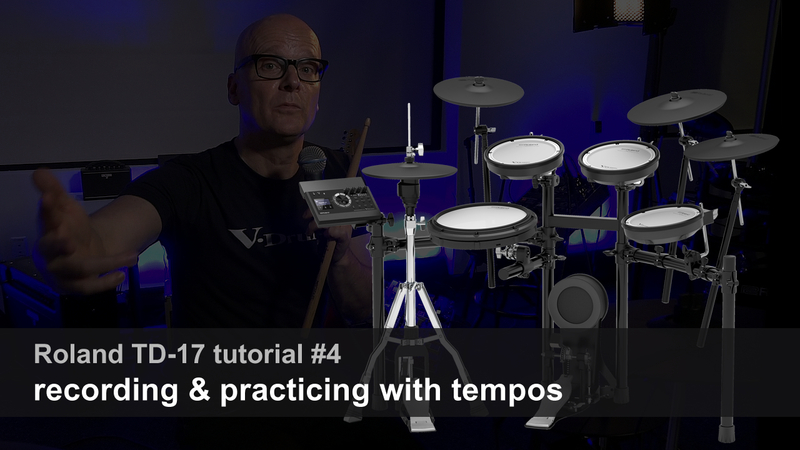 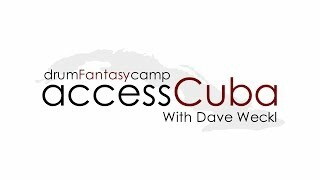 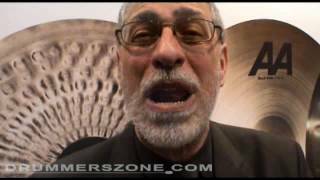 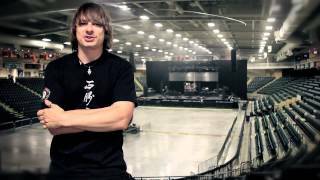 Besides his busy playing career, Dave is also very involved with the teaching aspect of the music business, conducting many seminars and classes all over the world. 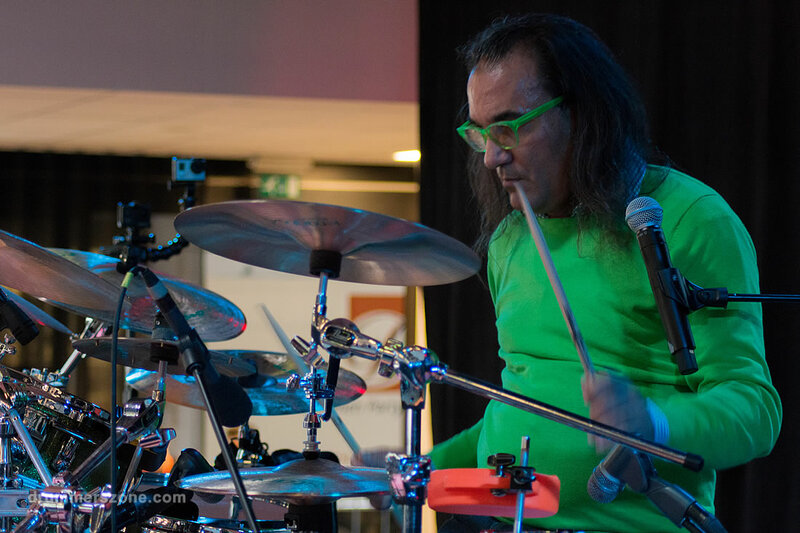 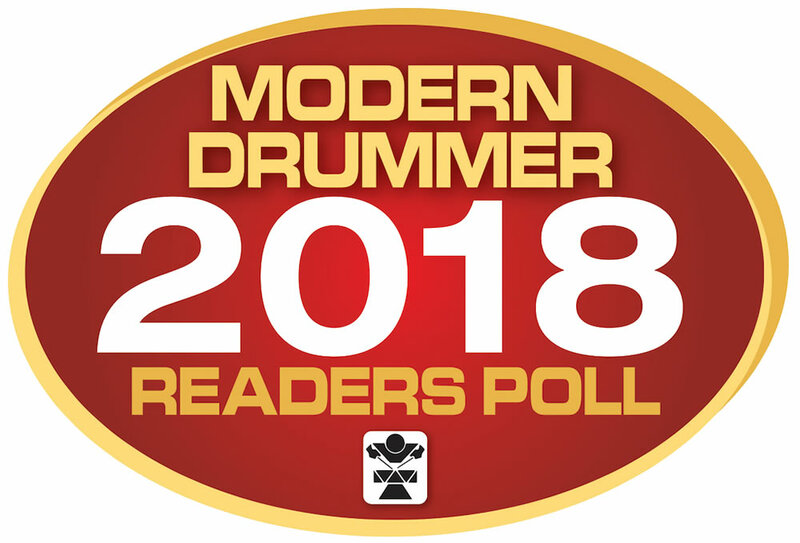 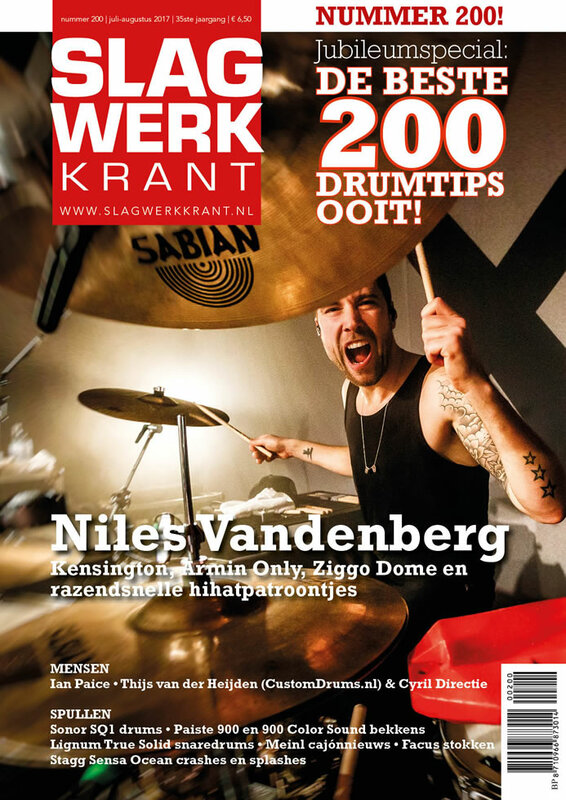 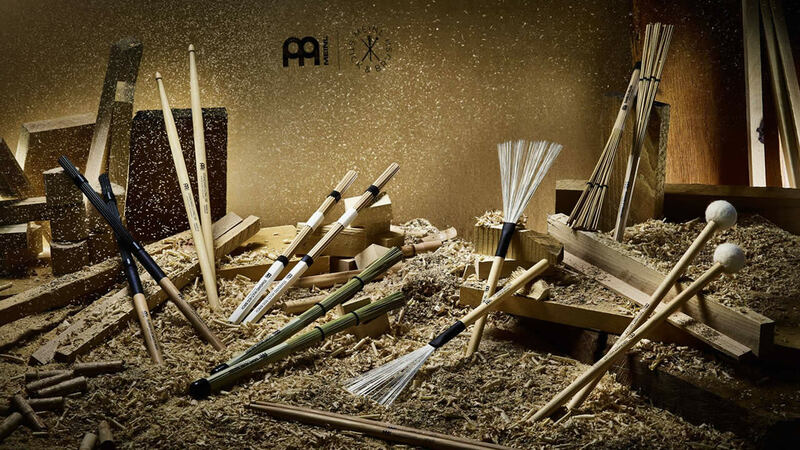 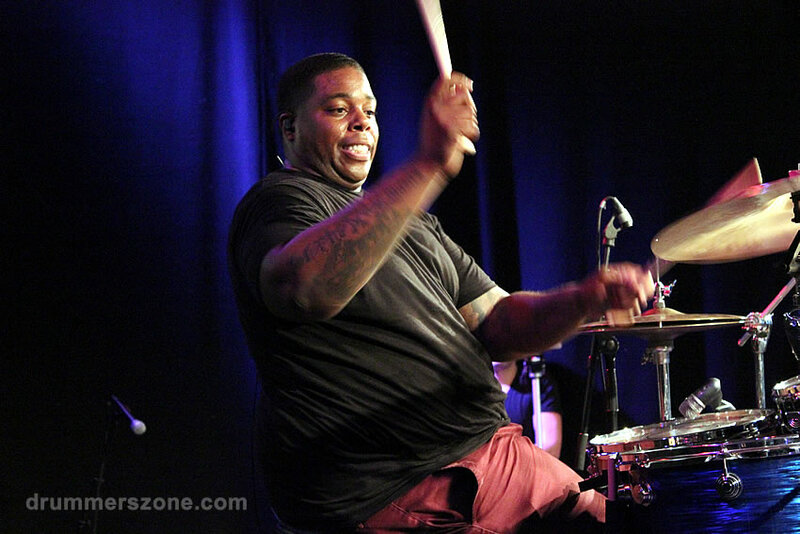 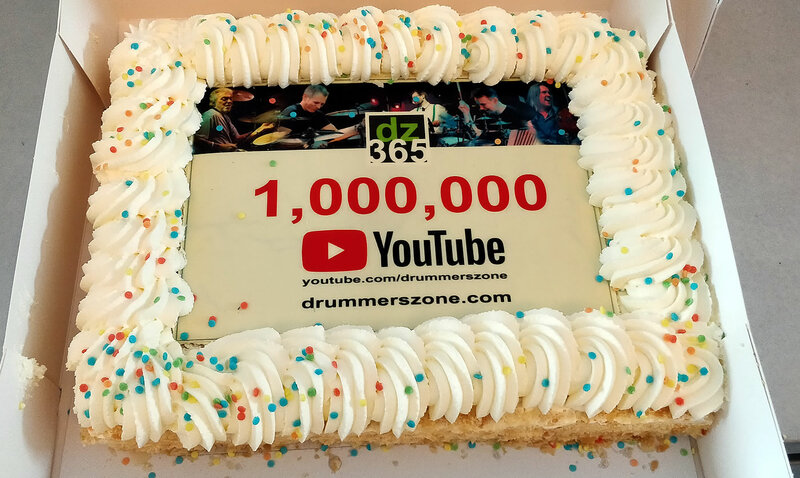 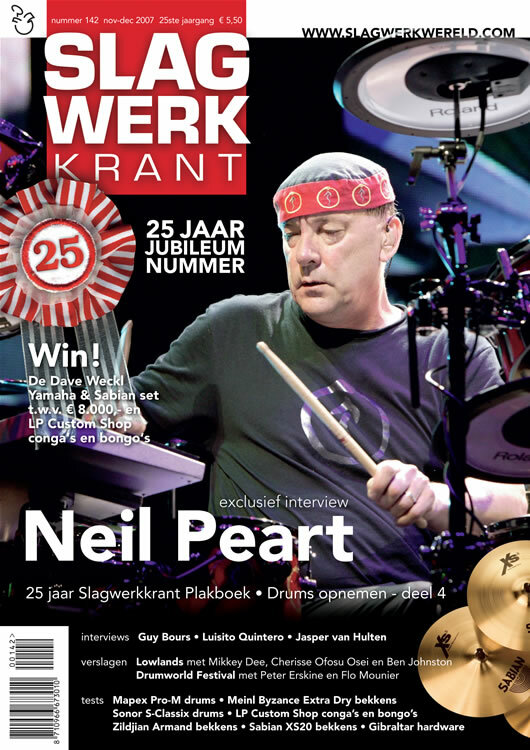 He says " It is my goal to inspire as many young (and not so young) people as possible to want to play music, whether it be drums or another instrument. 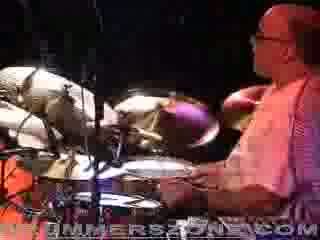 With all the negatives in the world today, I feel this is my way of contributing a positive action towards spiritual happiness, which music can be a big part of, if you let it. 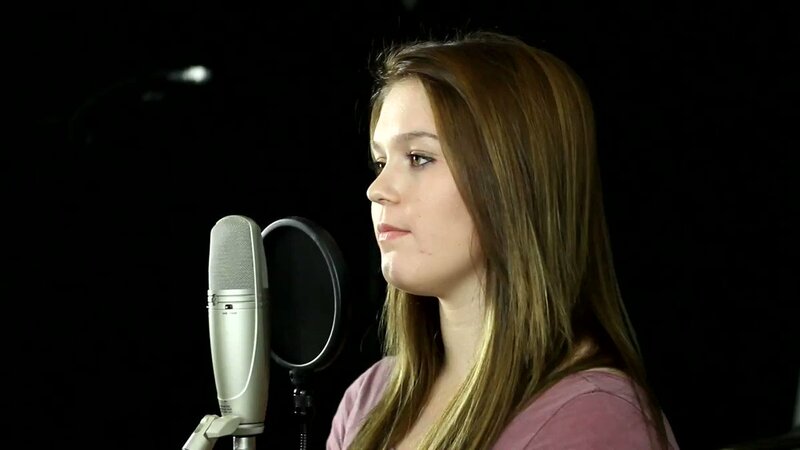 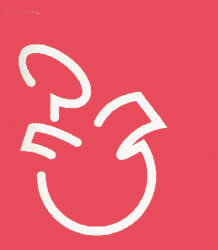 So parents, if your child has a talent for music, please allow them the opportunity to develop that talent!" 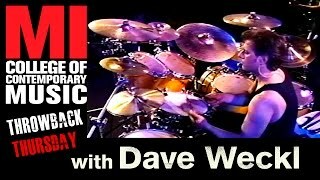 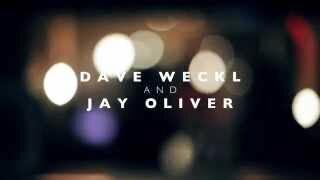 The OFFICIAL and the ONLY Dave Weckl fan page, managed by Dave and his staff. 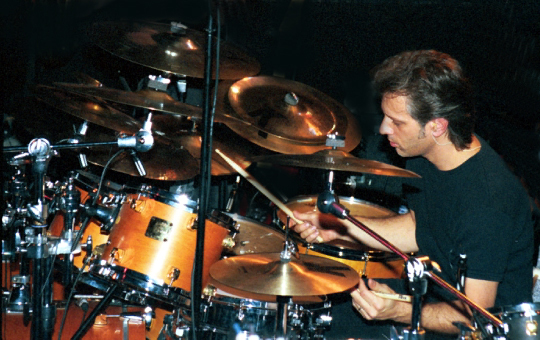 Walfredo De Los Reyes Sr.